Organic certification cost share enables small- and medium-sized organic farms to become certified. The costs of annual organic certification are increasing. To help defray these costs, two federal programs providing certification cost share offer a modest, partial (75%) reimbursement of up to $750 annually per certification. Having a diversity of scale of operations involved in organic production helps to maintain the integrity, vitality, and opportunity of the U.S. organic sector. Tell Congress to reauthorize both the National Organic Certification Cost Share Program (NOCCSP) and the Agricultural Management Assistance (AMA) program, through the next Farm Bill, to provide assistance needed by small- and medium-sized organic producers. Organic certification cost share helps to increase domestic production of organic products to respond to growing demand. Sales of organic products continue to grow at a rapid rate. Nationwide, U.S. organic sales reached $47 billion in 2016, with nearly 24,000 family farms and other businesses represented. Even so, organic production is lagging behind demand for organic products. Unless more U.S. farmers can become certified as organic, the country will continue to import a growing percentage of organic food and feed from other nations. There are many economic and environmental benefits of organic production. 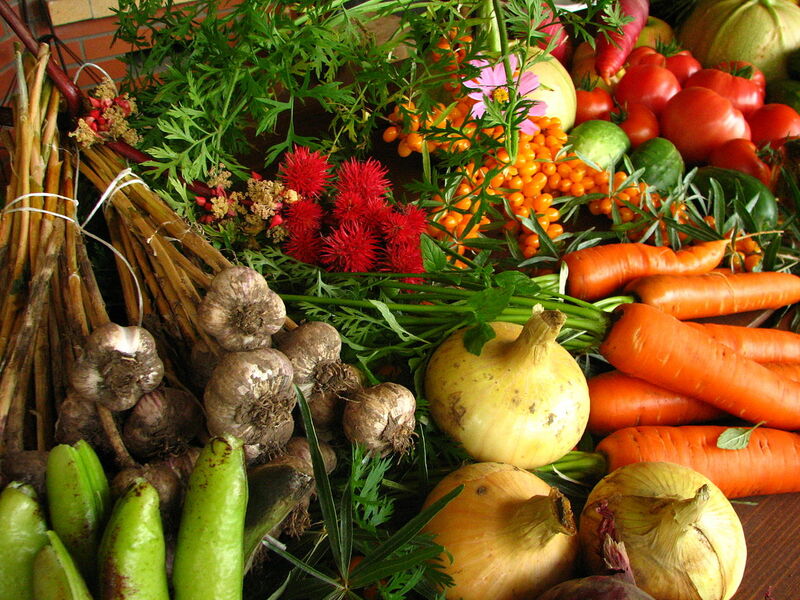 Small- and medium-sized organic farms support rural economies and protect natural resources. Organic farming results in cleaner air, water, and soil, and helps fight climate change by sequestering carbon in the soil. Organic production provides critical jobs in farming and food processing that can and should be kept here at home. It is critical to address the challenges that hinder growth in U.S. organic production and send U.S. dollars abroad to meet the growing organic demand. The cost of annual organic certification can be a barrier for some farmers. One of the unique costs faced by organic farmers, and those transitioning to organic, is the cost of annual organic certification. These costs can be particularly burdensome for many small- and medium-sized organic farms and businesses. The organic certification process is necessary to ensure that farmers and handlers who market their products as organic are meeting strict USDA organic standards. One of the barriers to getting farmers to transition is the concern about the annual costs of organic certification. Currently, two programs provide organic certification cost share assistance. The Agricultural Management Assistance program, enacted as part of the Federal Crop Insurance Act, provides certification cost share assistance for organic farmers (but not handlers) in 16 states. The AMA program also provides risk management and conservation grants to producers in those states. The National Organic Certification Cost Share Program, enacted as Section 10606 of the 2002 Farm Bill, and reauthorized through the 2008 and 2014 Farm Bills, provides organic certification cost share for organic farmers in states not covered by the AMA program, and for organic handlers in all states. The program has operated through state departments of agriculture. The one-year Farm Bill extension legislation passed by Congress on January 1, 2013 did not provide any funding for the NOCCSP, so the program was dormant for 2013, which caused a great deal of confusion and disruption. Tell Congress to reauthorize both the National Organic Certification Cost Share Program (NOCCSP) and the Agricultural Management Assistance (AMA) program through the next Farm Bill, to provide assistance needed by small and medium-sized organic producers. 12/11/2017 — Tell NRCS to Support Safe Monarch Habitat! Tell the NRCS (National Resources Conservation Service) to increase substantially the amount of funding spent on the conservation of monarch butterflies and the restoration of their habitat, and to ensure that restored habitat is not poisoned with hazardous pesticides. Although the agency has taken some steps to protect monarchs — including the implementation of the Monarch Butterfly Habitat Development Project and support for the Monarch Butterfly Conservation Fund — last year’s NRCS expenditure of $4 million was insufficient to prevent the monarchs’ decline, and could not even begin to stem the loss of milkweed habitat. Restoring the monarch butterfly and its habitat will require a substantial contribution from the agricultural sector and strong leadership from the NRCS. Agricultural lands encompass 77% of all prospective monarch habitat, and thus, are indispensable to reaching these goals. Tell NRCS to Support Safe Monarch Habitat! Monarch populations have declined by more than 80 percent over the last 20 years, and it is estimated that there is a 60% chance that the multigenerational migration of these butterflies would completely collapse in the next 20 years. Milkweed, the only forage for monarch caterpillars, has decreased by 21% — especially in the Midwest, where agricultural fields and pesticide use have expanded. Scientists estimate that to meet the monarch protection goal in the 2015 National Strategy to Promote the Health of Honey Bees and Other Pollinators, the U.S. needs to plant approximately 1.6 billion more milkweed stems to support a population of 225 million butterflies, as well as the goal of six hectares of overwintering monarchs. This population goal is still substantially lower than the monarch butterfly population in the early 1990s, but would drastically reduce the likelihood of monarch extinction. The U.S. Fish and Wildlife Service (FWS) is set to determine whether to protect monarch butterflies under the Endangered Species Act. A July 2016 agreement with the Center for Food Safety and the Center for Biological Diversity requires FWS to decide by June 2019 whether the butterflies will receive federal protection. This agreement came in response to a lawsuit earlier in 2016 to force the agency to set a legally binding deadline for a decision on a 2014 petition calling for protection of the species. FWS’s consideration of federal protection for monarchs is a positive step toward improving habitat and raising awareness about the decline of the butterfly, as well as the plight of other pollinator populations. Restoration of safe monarch habitat is essential to building populations, allowing the monarch to be delisted in the near future. Ensuring that this habitat is safe for monarchs by requiring that no pesticides are used would have benefits in building soil biology and protecting other pollinators. The Monarch butterfly is one of many important pollinator species that have experienced drastic declines in recent years. Along with threats from glyphosate use and habitat loss, the use of insecticides, such as neonicotinoids, has been linked to monarch declines. The use of genetically engineered (GE) crops (e.g., "Roundup-ready crops") allows the use of Monsanto’s glyphosate in cropland, an important factor in the decline of the monarch. Glyphosate eradicates milkweed, and the dramatic surge in Roundup use and Roundup-ready crops has virtually wiped out milkweed plants in Midwestern corn and soybean fields. It is estimated that monarachs have lost more than 165 million acres of habitat. A 2016 study found that the increasing use of neonicotinoid insecticides is correlated with a steep decline in butterfly health and reproductive success. 12/04/2017 — Don’t Allow Dow to Poison Farms and Communities! You told the Arkansas Plant Board to exercise its authority to protect farmers, consumers, and the environment from use of the herbicide dicamba on genetically engineered (GE) soybeans, and the board listened. Now, we need to ask the board to stop the use of 2,4-D on GE cotton. The action of states is critical as the federal government ignores basic safety concerns. Action in Arkansas will influence other states. The decision concerning 2,4-D use on herbicide-tolerant cotton goes to the Arkansas Plant Board on December 12. The choice has many similarities to the decisions to allow — and then prohibit — the use of dicamba on herbicide-tolerant soybean varieties. Both 2,4-D and dicamba are phenoxy herbicides — 2,4-D being the infamous ingredient (along with 2,4,5-T) of Agent Orange. Our voices were heard when the Arkansas Plant Board considered dicamba, so please weigh in on 2,4-D.
At this December 12 meeting, the Arkansas Plant Board is holding a hearing on a proposed regulation that would allow the Board to request more information from pesticide registrants, which could support restrictions based on conditions within Arkansas. The proposed regulation is a straightforward authorization to seek further information, with a requirement to disclose how it is used. Arkansas law allows the state to restrict or prohibit use of a pesticide to prevent unreasonable adverse effects caused by drift. Tell the Arkansas Plant Board to adopt the proposed rule and to prohibit use of 2,4-D on cotton! Both phenoxy herbicides (2,4-D and dicamba) are noted for their propensity to drift — both as droplets during application and as vapor afterward. Their application causes a wide range of health effects, as well as environmental impacts. Broad-leaved crops, including soybeans, non-GE cotton, grapes, and vegetables are susceptible to damage by phenoxy herbicides. The State of Arkansas has a growing wine industry that deserves to be protected from 2,4-D drift. The proposed rule will enable the state to request information from registrants that would enable it to protect farms and communities more effectively from drift. Like dicamba in soybeans, 2,4-D use in cotton represents movement in the wrong direction — toward harm to productivity and ecosystem services. Reliance on toxic herbicides and GE crops has failed farmers in a world where organic production is a viable alternative. The predictable problems associated with 2,4-D can and should be avoided. 11/27/2017 — Tell Your Congressional Delegation to Support the Food and Farm Act! As we approach 2018, Congress is working on the next Farm Bill, which will determine how $956 billion of our tax money will be spent over the coming years in shaping our food system. This year, Rep. Earl Blumenauer (D-OR) has introduced a bill that, if passed, will implement many of the food policy reforms that sustainable agriculture policy advocates have long supported. Tell Your Congressional Delegation to Support the Food and Farm Act! The bill, which is co-sponsored by Reps. Rosa DeLauro (D-CT), Chellie Pingree (D-ME) and Don Beyer (D-VA), is a result of a two-year conversation, “Sing Your Own Farm Bill,” in which U.S. Representatives engaged a diverse group of farmers, ranchers, fiscal hawks, food and agriculture policy experts, environmentalists, animal welfare advocates, and others to brainstorm ideas for shaping future farm and food policy. Diet-Related Disease: A diet high in food commodities subsidized by the Farm Bill is linked to a greater probability of diabetes, heart disease and stroke. Climate Change: The top five factory-farm mega-corporations combined emit more greenhouse gases (GHGs) than Exxon, or Shell, or BP (formerly British Petroleum). Water Pollution: Farm Bill subsidy programs contribute to the pollution of drinking water, imposing billions of dollars in healthcare and water cleanup costs on downstream communities. Title I cuts, caps, and clarifies the farm subsidy programs available in the commodity, conservation, and crop insurance titles of the Farm Bill. It expands coverage for non-commodity farms and ensures that farmers who receive subsidies reduce their environmental impact. Title II reforms existing conservation programs to focus on performance by distributing resources based on how effectively a project achieves conservation goals, and minimizing the environmental impact of agriculture practices. Allows more flexibility in determining what food aid works best for each situation, providing USAID’s implementing partners the ability to use either U.S. commodities or local and regional procurement, as they see fit, while eliminating the process by which 15% of non-emergency donated food is sold in local food markets, disrupting local food prices. Title IV expands access to healthful food in schools and underserved areas and at farmers markets through the Supplemental Nutrition Assistance Program (SNAP) and other initiatives. Title V provides support for beginning farmers and ranchers to enter and stay in the agriculture sector. It also assists those in the business who are ready to retire by helping them transition out of farming, all while keeping the industry vibrant. Title VI establishes the first Food Waste Title of the Farm Bill, which focuses the federal government on food waste reduction and directs USDA to develop methods for measuring, aggregating, and disseminating food waste information to the public. Title VII invests in research and education programs that improve sustainable agriculture practices, while also supporting research to help farmers and ranchers succeed in a changing climate. Title VIII establishes the first Animal Welfare Title in the Farm Bill, incorporating reforms to ensure that the treatment of animals is a central part of the country’s food and agriculture policy. Title IX invests in existing programs and creates new ones to support vibrant local and regional food systems, increases transparency within USDA’s existing programs, and streamlines grant program application procedures to make them more accessible. The pesticide industry is drafting legislation that threatens to remove provisions of the Endangered Species Act that protect species from pesticides. Tell your Congressional delegation to oppose all efforts to reduce endangered species’ protections from pesticides. The Endangered Species Act (ESA) is one of the most effective and important U.S. environmental laws. It represents a commitment to protect and restore those species most at risk of extinction. Recent polling shows 84% of Americans support the Endangered Species Act, and 87% agree that it is a successful safety net for protecting wildlife, plants, insects, and fish from extinction. Although many species — including the bald eagle, Florida manatee, and California condor — have been protected and brought back from the brink of extinction under the ESA, an estimated 500 species have disappeared in the past 200 years. An important provision of the ESA is the requirement that each federal agency that proposes to authorize, fund, or carry out an action that may affect a listed species or its critical habitat must consult with the U.S. Fish and Wildlife Service (FWS) and National Marine Fisheries Service (NMFS). In the case of pesticides, the Environmental Protection Agency (EPA) is required to perform such a consultation if it finds that the pesticide may affect endangered species, and the FWS and NMFS may initiate such a consultation if they disagree with EPA’s assessment. In addition, citizens may file lawsuits to ensure that species are adequately protected. These consultation provisions are under attack by pesticide industry lobbyists promoting legislation that would allow EPA to “self-consult” on pesticide registrations. At least 59 legislative attacks on the ESA have been introduced in Congress this year. We have learned of draft legislation, being developed by the pesticide industry, that strikes against ESA protections of plants and animals from pesticides. It seeks to curtail severely the ESA's Section 7 consultation provisions from pesticide reviews and eliminate all liability under Section 9 of the ESA, which prohibits the taking, injury, death, or harm of endangered animals. Tell the Department of Justice and the Federal Trade Commission to Block This Dangerous Merger! In late 2016, Monsanto and Bayer announced a $66 billion merger. The Department of Justice is in the midst of reviewing it, and a decision is expected in late 2017. 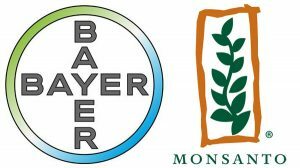 Should this merger go through, only four companies in the world will control all seed and agricultural chemical business: Bayer-Monsanto, Dow-DuPont, ChemChina-Syngenta, and BASF. Tell the Department of Justice and the Federal Trade Commission to stop the Bayer-Monsanto merger, which would have severe repercussions for farmers and consumers. the world’s largest cotton seed company, responsible for the seed for about 70% of all the cotton grown in the U.S.
along with another company (Dow-DuPont), in control of 77% of all the seed corn in the U.S. Increased cost. Estimates predict an 18% increase in cotton seed prices, a 2.3% increase for corn, and a 1.9% uptick for soybeans. Dairies and ranchers could face increased feed prices from both genetically engineered (GE) and non-GE alfalfa. Increased pesticide and genetic contamination. For organic farmers, greater market penetration of GE seeds increases potential for cross-farm genetic contamination (and company lawsuits against farms alleging improper use of patent-protected traits). Greater use of pesticides/pesticide-resistant varieties would likely bring greater incidence of pesticide drift-related damage to organic fields. Lack of access and diversity. Farmers will be further locked in to using product mixes (e.g., seeds and pesticides) designed by these companies. With fewer companies in the marketplace, GE seed and pesticides will dominate the marketplace, reducing the availability of untreated, non-GE seed, which means fewer choices available to farmers. Research and development. Current and new research investment will focus on patentable GE seeds, reducing and undermining research into, and the availability of, diverse, non-GE, locally appropriate seed varieties that benefit both conventional and organic producers. Farmworker exposures. Increased use of pesticides and expansion of pesticide-treated seed varieties will lead to greater pesticide exposure for farmworkers. Increased power of industry. The dominance of industry in the pesticide regulation process may result in less stringent controls over pesticide use and thus, greater harm to farmworkers and the environment. Increased grocery bills. The impact on prices of inputs for farmers could drive up consumer prices for all foods, especially those with commodity-crop ingredients (corn, soy, and wheat). Animal products could also be affected, with increases in alfalfa and other feed prices; clothing made from U.S. cotton could be similarly affected. Strains on organic. Consumers committed to eating GE-free foods (such as organic) will face additional difficulties as the market dominance of GE crops is consolidated and deepened. Further, with increased environmental contamination, organic farmers will face challenges meeting organic standards. Increased environmental concerns. Further entrenchment of a farming system dominated by GE seeds and pesticide-intensive production will lead to increased contamination of the environment due to pesticide and genetic drift, water contamination, and impacts to non-target organisms. 1. The Organic Agriculture Research Act of 2017 (H.R. 2436) will provide $50 million in funding annually for the USDA’s flagship organic research program, the Organic Agriculture Research and Extension Initiative (OREI). 2. The Organic Farmer and Consumer Protection Act of 2017 (H.R. 3871) will improve oversight of organic imports. This action will allow you to send messages asking your U.S. Representative to co-sponsor the bills, or offering your thanks if the member already is a co-sponsor. Ask your U.S. Representative to support organic in the next Farm Bill by co-sponsoring these two bills. If your Representative is already a co-sponsor, please send a note of thanks. Organic is one of the fastest growing sectors in U.S. agriculture. The bipartisan Organic Agriculture Research Act of 2017 (H.R. 2436), introduced by Rep. Chellie Pingree (D-ME), will help more farmers transition to organic production in response to growing demand in the marketplace. Organic research helps farmers become more productive, efficient, and profitable, and leads to the development of new agricultural practices that can be used by conventional and organic farmers alike. Unfortunately, over the past five years, while overall funding for agricultural research has grown significantly, funding for organic research has stagnated. This bill would go a long way toward closing that gap. The Organic Agriculture Research Act has 39 co-sponsors, and the list is growing. Another bill, the Organic Farmer and Consumer Protection Act of 2017 (H.R. 3871), introduced by Representative John Faso (R-NY), is needed to strengthen oversight of the $47 billion organic industry. Strengthening enforcement of the organic standards, especially for imported organic products, is critical to safeguarding the integrity of the organic label, and to ensuring consumer trust. A recent Washington Post investigation and USDA’s own investigations have shown that some imported organic products have been fraudulently labeled. A report from the USDA’s Office of the Inspector General revealed areas that need to be improved in the oversight of international organic trade and the enforcement of organic standards for imported organic products. Organic farms and operations that comply with the stringent organic standards are undercut when they are forced to compete with fraudulent products in the marketplace. The Organic Farmer and Consumer Protection Act has 20 co-sponsors, and the list is growing. The Arkansas State Plant Board is currently considering whether to ban dicamba. Tell them by Monday at 4:30pm (EST) that banning dicamba is the right decision for the future of agriculture, and farmer and public safety! Your comments are needed to stop the disaster in Arkansas being created by Monsanto’s new genetically engineered (GE) cropping system, which relies on the toxic pesticide dicamba. If Arkansas bans dicamba, other states will — and should — follow, given the chemical industry’s takeover of the U.S. Environmental Protection Agency (EPA), which is allowing this extremely hazardous pesticide use. This is a problem that has regional and national implications, given the breakdown of the EPA and its pesticide program. We cannot let this failure of protection stand in Arkansas or anywhere in the country. Promoted by Monsanto as a way to address rampant Roundup (glyphosate) resistance, Monsanto’s new GE soybeans are now able to withstand both glyphosate and dicamba, an older herbicide with a range of documented health effects from neurotoxicity to reproductive problems. Dicamba is also highly volatile and, as a result, has drifted across crop fields throughout the region, damaging high-value fruit tree and organic operations. Dicamba drift and damage are pitting farmer against farmer, neighbor against neighbor. Last year, a farmer in Arkansas was shot in a dispute that involved dicamba drift and the resulting crop damage. And the University of Arkansas’ agricultural research station saw more than 100 acres of soybeans ruined as a result of nearby dicamba use. Dicamba’s use in GE agriculture perpetuates a toxic, pesticide-dependent system that poisons farmers, farmworkers, and nearby communities, while eliminating habitat for pollinators, contaminating water, and encouraging weed resistance. Because of the success and growth of organic agriculture, there are better ways to grow food without causing crop damage, or putting human health and the environment in harm’s way. Act now to ban Dicamba in Arkansas. Anyone in any state can provide a public comment; speak up to protect your food from Dicamba contamination! And please follow up with a phone call to 1.501.225.1598! Willapa Bay and Grays Harbor, with a number of unique ecosystems and among the most important estuaries in the U.S, are once more in danger of being sprayed with the toxic neonicotinoid insecticide imidacloprid. A draft Supplemental Environmental Impact Statement (SEIS) produced by the Washington State Department of Ecology (Ecology) considers two options for spraying imidacloprid and one no-action alternative. Imidacloprid would be sprayed to kill the native burrowing shrimp in beds of commercial Japanese oysters. The SEIS fails to give adequate weight to the “knowledge gaps” it identifies, in some cases indicating that monitoring during use of imidacloprid could be used to reduce uncertainty. In order to protect the bays, facts need to be established before permitting the use of another toxic chemical in Willapa Bay and Grays Harbor. Among the knowledge gaps found by Ecology are uncertainties over whether imidacloprid is effective for its stated purpose. These uncertainties are crucial because no spraying can be justified if it is not effective. The SEIS does not evaluate synergistic impacts of imidacloprid combined with other chemicals (“inert” ingredients, other chemicals used in the bays, and other pollutants) or other stressors. Among the organisms known to be at risk is the commercially important Dungeness crab, which has been shown to be susceptible to the effects of imidacloprid, and whose populations experience large natural fluctuations, putting them at risk of extinction. Given the systemic mode of action of imidacloprid in crop plants, the failure to account for impacts on non-target animals consuming vegetation in treated areas is not acceptable. During the past century, Willapa Bay and Grays Harbor have been affected by human activity that has contributed to problems experienced by all who use the bays. Of the three alternatives presented, the "No Action" option is the best. However, what is truly necessary to address these problems is an alternative that was not considered in the SEIS — a plan to restore the habitat by removing stressors from streams flowing into the bays. Tell your U.S. Senators to oppose the Trump Administration’s nominee for Environmental Protection Agency (EPA) Assistant Administrator for Chemical Safety and Pollution Prevention, Michael L. Dourson, PhD, who has spent a good deal of his career helping chemical companies resist restrictions on their toxic compounds. The U.S. Senate’s August 20 hearing on Dr. Dourson’s nomination was abruptly postponed on August 19, with no reason offered, but later held on October 4 under a cloud of controversy. Critics, including former EPA officials, Congressional Democrats, and public health scientists say that Dr. Dourson’s close ties to the chemical industry should disqualify him from becoming the country’s chief regulator of toxic chemicals. TERA’s clients have included Dow Chemical Company, Koch Industries, Inc., Monsanto, Chevron Corporation, and the industry lobby group, the American Chemistry Council — companies that make pesticides, processed foods, cigarettes, plastics, and other chemical products. The Associated Press reports that Dr. Dourson has, for some time, received payments for his critical assessments of peer-reviewed studies that identified concerns with the safety of his clients’ products. Examples of the kinds of “industry shielding” work TERA did can be reviewed here. According to The New York Times, Adam Finkel, executive director of the Penn Program on Regulation at University of Pennsylvania Law School, who worked as a partner on a project with Dr. Dourson, said, “Most of what he has done over time is to rush headlong to exonerate chemicals.” Four controversial toxic chemicals currently under EPA review — 1,4-dioxane, 1-bromopropane, trichloroethylene, and chlorpyrifos — are manufactured by Dow, a company that Dr. Dourson represented. If confirmed, he would oversee the regulation of these chemicals, which are associated with severe health issues, including cancer, birth defects, and developmental problems in children. The Associated Press cites the example of Dr. Dourson’s Dow-sponsored review of chlorpyrifos (a neurotoxic pesticide that harms children’s brains, even at very low exposure levels), which claimed flaws in peer-reviewed studies linking delays in fetal development with exposure to the chemical. The credibility of EPA’s regulation of chlorpyrifos is already in question due to EPA Administrator Scott Pruitt’s decision to overrule the recommendation of agency scientists that would have banned the chemical. Mr. Pruitt claims the science is “unresolved” and has delayed a decision on chlorpyrifos until 2022. Dr. Dourson is a recent example of the “revolving door” phenomenon — the movement of people between roles as agency regulators or legislators, and positions in the industries that are regulated by those government roles. The door revolves in both directions, with regulators leaving government to join industry, and vice versa. This ready switching of roles creates unavoidable conflicts of interest. Indeed, ethics experts say that, if confirmed, Dr. Dourson’s work on behalf of industry could constitute significant conflicts of interest. Industry has a long history of using the revolving door. When people are allowed to move from industry to regulatory agency (or the reverse) without constraint, the resultant conflicts of interest not only unduly shape policy or ratchet up industry influence, but also, cast huge doubt on the individual’s ability to act independent of industry’s interests, and in the best interest of the public and an agency’s charge. The comment period closes Wednesday, October 11 at 11:59 pm EDT for the Fall 2017 National Organic Standards Board (NOSB) meeting. In addition to the other priorities in our previous alerts (hydroponics, marine materials, and “inerts”), we focus attention here on: eliminating the incentive to convert native ecosystems into organic crop production; strengthening and clarifying the requirements for the use of organic seed: exempt/uncertified handlers and brokers; and the need for a comprehensive review of sanitizers used in organic. Beyond Pesticides provides you with our positions, which you can use as the basis for your comments. If you have limited time, you can use the sample comments on priority issues below. If you have more time, please use the information on our website to develop your own comments. If you paste our comments into regulations.gov, please first put a personal note of concern in order to reflect the importance of these issues to you as an organic consumer, farmer, or other concerned party. The proposal must be revised — it should be sent back to the Compliance, Accreditation & Certification Subcommittee. Native ecosystems retain dominant and characteristic species. The composition of species reflects spontaneous natural processes, such as biogeography (i.e., dispersal of plants and animals), the geophysical constraints (e.g., soil type), and natural disturbance regimes (e.g., wind, fire, and water flow). On land with natural vegetation, any past human influences are not readily recognized in the field. For semi-natural vegetation, past human influences may have significantly altered vegetation composition or structure during the period from approximately 100 to 50 years ago, but these have recovered. Native ecosystem sites will tend not to have been previously cultivated, cleared, drained, or otherwise irrevocably altered. A rule change to the seed practice standard is needed to require a demonstrable improvement over time until 100% organic seed use is achieved. Guidance must be strengthened consistent with the existing rule to ensure that plants that have been treated with prohibited substances are not used in organic production. The National Organic Program’s (NOP’s) broad exemption allowing the use of conventionally produced seed maintains inconsistency in the enforcement of organic standards. Enforcement must be a first step to strengthening the organic seed requirement; certifiers must enforce consistent and uniform adherence to the present organic seed requirements. We support seeking a rule change to the seed practice standard §205.204 to require a demonstrable improvement over time until 100% organic seed use is achieved, as well as strengthening the guidance NOP 5029 in ways that are consistent with the existing rule. Plants that have been treated with prohibited substances should not be used in organic production. This includes, for example, plants grown in fumigated soil or from seeds treated with neonicotinoid pesticides. The proposal should be revised in view of the fact that highly toxic fumigants used in conventional facilities penetrate packaging materials. We support the goal of strengthening audit trails of organic products by further clarifying what operations are excluded from certification. However, the assumption that packaged goods will maintain their organic integrity under conventional handling is flawed. Fumigants used in conventional warehouses and other facilities are highly toxic and penetrate packaging materials. Therefore, handlers who handle only packaged organic goods should not be excluded from certification. A comprehensive review of sanitizers, disinfectants, and cleansers used in organic production and handling is needed to ensure that the safest and most effective materials are used. Beyond Pesticides and others have been calling for a comprehensive review of sanitizers used in organic production. The NOSB needs to identify needs for sanitizers, disinfectants, and cleansers, and evaluate the allowed and potentially allowed materials according to OFPA (Organic Foods Production Act) criteria. We support this issue being placed on the Materials Subcommittee work agenda, and we suggest a structure for the comprehensive review. A congressionally mandated study belatedly released by the U.S. Department of Agriculture (USDA) questions the feasibility of electronic disclosures as a means of providing consumers with information on genetically engineered (GE) food ingredients, but leaves the door open for USDA to continue with the system, based on improving technology. The study confirms concerns held by many that “electronic or digital disclosures,” which is what QR (quick response) codes are, will pose technological challenges for consumers, thereby limiting access to food information. The study was required by the 2016 Federal Bioengineered Food Disclosure Standards Act (the “GE Labeling Act”) to help inform the establishment of federal standards for labeling by July 2018. The labeling law allows USDA to consider several options: on-package text, a GE symbol on packages, or “electronic or digital disclosures,” which would require shoppers to use a smart phone to scan packages (to access a website) or call an 800 number for every single product to find out whether it was produced with genetic engineering. Act now to tell Secretary Perdue and your Congressional Delegation that on-product text labeling of all GE ingredients must be required. According to the study, 53% of adults say they care about the issue of GE food, with a third of that group caring a great deal. Half of all shoppers would likely be sensitive to labeling changes, as evidenced by increased consumer desire for food information, which is pervasive across region, age, income, and gender. U.S. Secretary of Agriculture Sonny Perdue and your Congressional delegation need to hear from you in view of this study showing the challenges of the electronic option. 09/25/2017 — Keep the Soil in Organic! As the comment period officially begins for the Fall 2017 National Organic Standards Board (NOSB) meeting, a major controversy is coming to a head on allowing hydroponics to be certified organic. Contrary to prior recommendations of the NOSB, the National Organic Program (NOP) has allowed some hydroponics operations to be certified. The NOSB will consider motions at this meeting that could stop this practice. Beyond Pesticides provides you with our positions, which you can use as the basis for your comments. Please feel free to develop your own comments or cut and paste from ours. If you do cut and paste our comments into regulations.gov, please first put a personal note of concern in order to reflect the importance of these issues to you as an organic consumer, farmer, or other concerned party. Organic production is soil based and is defined by principles concerning the grower’s relationship to the soil. The “Law of Return,” the rule “feed the soil, not the plant,” and the promotion of biodiversity, provide the ecological basis for organic production. The Law of Return says that we must return to the soil what we take from the soil. The dictum to “feed the soil, not the plant” reminds us that the soil is a living superorganism that supports plant life as part of an ecological community. Finally, biological diversity is important to the health of natural ecosystems and agroecosystems. Biodiversity promotes balance, which protects farms from outbreaks of damaging insects and disease. It supports the health of the soil through the progression of the seasons and stresses associated with weather and farming. It supports our health by offering a diversity of foods. Hydroponics is not consistent with these principles. Containerized culture may be eligible for organic certification under limited circumstances in which organic soil-building and other organic practices are used. These are essentially the same practices that would be required for growing in permanent beds in the soil. We support the subcommittee proposals for prohibiting hydroponics and delineating acceptable practices for organic containers. Marine biodiversity is important, and the roles played by marine algae (seaweed) are important to marine biodiversity and ecology. Human threats to marine environments include overfishing, global warming, biological introductions, and pollution. The NOSB should continue its efforts to clarify the identities of species of marine algae used in organic production, as well as to develop guidance for the application of the wildcrafting standard to marine algae. Application of scientific names to seaweeds needs to be clarified to ensure protection, and any restrictions need to be justified. The NOSB must investigate mechanisms for protecting marine ecology from the impacts of over-harvesting of marine algae for use in organic products and production. It must also look at natural materials in use in crops and livestock, as well as those on the National List of Allowed and Prohibited Substances. Last, the NOSB must protect rockweed (Ascophyllum nodosum) to the extent possible, and specifically list it as a prohibited natural. Seaweeds and products made from them should be allowed as ingredients in organic food, feed to organic livestock, and crop inputs only “when harvested from a designated area that has had no prohibited substance applied to it for a period of 3 years immediately preceding harvest and when harvested in a manner that ensures that such harvesting or gathering will not be destructive to the environment and will sustain the growth and production of the population of the species,” according to NOP regulations. “Inert” ingredients frequently comprise as much as 99% of a pesticide product. So-called “inert” ingredients are typically not biologically and chemically inert, and are not disclosed to users or others who may be exposed. Due to NOSB scrutiny of active ingredients, “inert” ingredients may be the most hazardous ingredients in pesticide products used in organic production. We urge the NOSB to insist that the NOP move forward quickly with implementation of the NOSB recommendations on inert ingredients. Allowing the current lack of movement to persist raises serious compliance issues and threatens the integrity of the USDA organic label. 09/18/2017 — Tell California to Ban The Neurotoxic Pesticide Chlorpyrifos! Ask California to ban the neurotoxic pesticide chlorpyrifos that’s on the food we eat from California –since the administrator of EPA refused to take the action agency scientists said is necessary to protect children. Tell California to ban chlorpyrifos! In view of EPA’s retraction of its proposal to revoke food residue tolerances of the highly neurotoxic insecticide chlorpyrifos, despite its own assessment that the chemical is too toxic to children, it is especially important that California take action to ban the chemical. California, the home of the largest agriculture industry in the country, used over 1 million pounds of chlorpyrifos on over a million acres in 2012. EPA’s assessment is also support for the classification of chlorpyrifos as a developmental toxicant, an issue being considered on a parallel track by California’s Office of Environmental Health Hazard Assessment (OEHHA), which oversees the “Prop 65” list. As stated by U.S. Senator Tom Udall (D-NM) in introducing S. 1624 to ban chlorpyrifos, “The science linking chlorpyrifos to brain damage and neurodevelopmental disorders in children is undeniable. The EPA's own scientists have established that chlorpyrifos on food and in groundwater is a threat to public health and should be banned." Epidemiological data also points to subpopulations that are disproportionately affected by chlorpyrifos exposures. Low-income African-American and Latino families, including farmworker families, continue to suffer the most, and this disproportionate impact creates an environmental justice problem that the state cannot continue to ignore. 09/11/2017 — Tell Ben & Jerry's CEO: Get pesticides out of your ice cream! Think about it: Ten of 11 samples of Ben & Jerry’s ice cream tested positive for glyphosate, the active ingredient in Monsanto’s dangerous Roundup herbicide. Send a message to B&J CEO now! Behind the iconic ice cream brand’s greenwashed façade is an unfortunate truth: its ice cream relies on a dairy industry that produces contaminated food, poisons Vermont’s waterways, abuses animals, exploits workers, bankrupts farmers, and contributes to climate change. In addition to the above problems, pesticides like Roundup, atrazine, and metolachlor — all carcinogens and endocrine disruptors — have devastating effects on human health. And they're in Ben & Jerry’s ice cream. Tell Ben and Jerry’s to go organic! Yet, the Vermont brand that has used the image of cows grazing on endless pastures to sell their products, now buys milk from “confined animal feeding operations” or CAFOs, where cows graze on concrete with a diet rich in GMO corn and pesticides. This is greenwashing. It’s time for Ben & Jerry’s to come clean. If Ben and Jerry’s wants to live up to its image, it needs to go organic — like Alden’s Organic, Julie’s Organic, and Three Twins — ice cream brands that have all tested negative for glyphosate. Sign the petition to Ben and Jerry’s CEO Jostein Solheim, insisting that — to truly protect the environment, children, and workers, and to support sustainable agriculture — Ben and Jerry’s must go 100% organic. Tell your Governor to stop Monsanto from making false and deceptive claims about glyphosate (the active ingredient in its Roundup product) — a pesticide that hurts workers. Because of its wide use by workers in parks, along utility and railroad rights-of-way, and on farms, Monsanto’s glyphosate results in more exposure than any other pesticide. Monsanto has developed and continues to grow its market for this product with false claims of the safety of the toxic chemical. Act now to urge your Governor to act on false claims by Monsanto! Although EPA considers glyphosate to be “of relatively low oral and dermal acute toxicity,” symptoms workers could experience following exposure to glyphosate formulations include: swollen eyes, face, and joints; facial numbness; burning and/or itching skin; blisters; rapid heart rate; elevated blood pressure; chest pains, congestion; coughing; headache; and nausea. The additional ingredients in Roundup can be more toxic than glyphosate alone, resulting in a number of chronic, developmental, and endocrine-disrupting effects. The “inert” (non-disclosed) ingredients in Roundup formulations kill human cells at very low concentrations. At least some glyphosate-based products are genotoxic. Because glyphosate disrupts the shikimate pathway, a multi-step metabolic process crucial for manufacturing aromatic amino acids in plants but not animals, Monsanto claims that it does not harm humans. However, many beneficial bacteria use the shikimate pathway, and glyphosate, in fact, is a patented antibiotic. Glyphosate destroys bacteria in the human gut and, therefore, is a major contributor to disease. Disturbing the microbiota can contribute to a whole host of “21st century diseases,” including diabetes, obesity, food allergies, heart disease, antibiotic-resistant infections, cancer, asthma, autism, irritable bowel syndrome, multiple sclerosis, rheumatoid arthritis, celiac disease, inflammatory bowel disease, and more. The rise in these same diseases is closely correlated with the use of glyphosate herbicides, and glyphosate exposure can result in the inflammation that is at the root of these diseases. Glyphosate appears to have more negative impacts on beneficial bacteria, allowing pathogens to flourish and enhancing antibiotic resistance. Although consumers are at risk from Monsanto’s glyphosate products, the workers who apply it and work in fields and parks, on farms, and along rights-of-way where it is used are at greatest risk. There is precedent for states acting on false claims by manufacturers. Massachusetts sued Bayer for false and deceptive claims on the label for its neonicotinoid products that harm bees. Every state can seek to protect against a false and deceptive claim under consumer protection and truth-in-advertising law. 08/28/2017 — Back-to-School? Stop the Toxic Pesticide Use! School policies must protect children from pesticides by adopting organic land and building management policies and serving organic food in cafeterias. At the start of the school year, it is critical for school administrators to make sure that students and teachers are learning and teaching in an environment where no hazardous pesticides are used in the school’s buildings or on playing fields. It is also essential that children have access to organic food in food programs and manage school gardens organically. Whether as a parent, teacher, student, school administrator, landscaper or community advocate, you can take steps to ensure that school environments are safe from toxic chemicals as the new school year begins. Because children face unique hazards from pesticide exposure due to their smaller size and developing organ systems, using toxic pesticides to control insects, germs, and weeds can harm students much more than it helps. The good news is that these poisons are unnecessary, given the availability of practices and green materials that do not poison people or the environment. Studies show that children’s developing organs create “early windows of great vulnerability” during which exposure to pesticides can cause great damage. This is supported by the findings of the American Academy of Pediatrics (AAP), which concluded, “Children encounter pesticides daily and have unique susceptibilities to their potential toxicity.” You can help eliminate children’s exposure to toxic chemicals by urging school administrators to implement organic management practices that use cultural, mechanical, and biological strategies, and, as a last resort, defined least-toxic pesticides. See Beyond Pesticides’ ManageSafeTM database for managing all insects and weeds without toxic pesticides. One way to protect children is to find out whether the school has a pest management policy in place already, and identify key allies to improve it. Because toxic pesticides are not necessary to effective pest management, it is important that schools and school districts have written organic pest management programs. This will ensure that the program is institutionalized and will continue to flourish over time. See here for more details and practical steps on how to get organized and improve a school’s pest management program. For additional information, see Beyond Pesticides’ School Organizing Guide. Children going back to school may face challenges with head lice; research has found that lice in 25 of 30 U.S. states have developed resistance to common over-the-counter treatments such as those containing the insecticide permethrin — rendering them ineffective. Utilizing nontoxic approaches and products is critical, especially given that lice are not a vector for insect-borne disease, and typical pesticide products used to treat them can be neurotoxic or carcinogenic. Fortunately, this nuisance insect can be managed with alternative lice treatment methods that do not include the use of toxic chemicals. One method for eliminating head lice is the use of hot air, which desiccates the insects and eggs, killing them. Lice and their eggs (or nits) can be combed and handpicked, and then destroyed in soapy water. Beyond Pesticides’ ManageSafe database has a comprehensive webpage dedicated to safe management of lice, in addition to preventive practices. Organic foods have been shown to reduce dietary pesticide exposure. Children who eat a conventional diet of food produced with chemical-intensive practices carry residues of neurotoxic organophosphate pesticides that are reduced or eliminated when they switch to an organic diet. The effects of pesticide exposure have been well documented, particularly for vulnerable segments of the population, like children and pregnant women. In 2012, AAP weighed in on the organic food debate, recognizing that lower pesticide residues in organic foods may be significant for children. In addition to direct health effects, the Academy also noted that choosing organic is based on broad environmental and public health concerns, including pollution and global climate change — a position supported by Beyond Pesticides. Ask your child’s school to adopt an organic lunch program, starting with organic produce, milk, and/or juice. See School Lunches Go Organic for more information. In addition to organic food in the cafeteria, growing food in an organic school garden can be both healthful and a valuable part of learning. For more information, see The Organic School Garden (or Grow Your Own Organic Food for technical advice). School gardens teach children where food comes from and establishes healthy relationships with food and the natural world. Playing fields that are intensively managed with chemicals are at greater risk for disease and weed infestation (leading to a dependence on chemical inputs), compared with practices that build healthy, balanced soil. Similarly, chemically managed fields are generally harder and more compacted due to a loss of natural soil biology. Organic management focuses on cultural practices, such as aeration, that alleviate compaction, improve moisture retention, and provide a softer, better playing surface. See the factsheet, Pesticides and Playing Fields, for more information. Protect biodiversity through organic turf, playing fields, and landscape policies. Encourage the school to plant pollinator-attractive plants in its garden as part of its biology class. If the school does not have a garden, request that one be integrated into the curriculum. Wildflowers, and native plant and grass species should be encouraged on school grounds. For more information on attractive flowers, see the BEE Protective Habitat Guide. Also see the Do-It-Yourself Biodiversity factsheet and Managing Landscapes with Pollinators in Mind for resources on building and protecting biodiversity. On college campuses nationwide, grounds crews and landscapers often maintain the land with toxic pesticides, even though safer alternatives exist. College students across the country want their campuses to be safe and healthy environments. To assist with college studies, Beyond Pesticides has developed the BEE Protective Ambassador Program. “BEE” prepared: you may get some pushback about phasing out toxic pesticides on campus. But contrary to what some administrators and groundskeepers may tell you, a college campus can be maintained successfully without toxic, systemic pesticides. With the fall semester rapidly approaching, now is a great time to take the BEE Protective Ambassador Pledge. With assistance from Beyond Pesticides, BEE ambassadors will be given educational information to use in talking with college administrators. Students who are interested in joining the movement to protect pollinators and save the bees can become Bee Protective Ambassadors and sign the pledge! 08/21/2017 — Insist That the Organic Label Be Regulated on the Basis of Law, Not Whim! Consumers of organic food expect a clear set of production standards that are enforced with a rigorous system of inspection and certification. However, the U.S. Department of Agriculture’s (USDA’s) National Organic Program (NOP) is currently undermining this central organic principle. During a National Organic Standards Board (NOSB) webinar, NOP Deputy Administrator Miles McEvoy extolled the new “flexibility” of his program in allowing organic certification of operations not permitted by regulations. Although the webinar focused on the program’s allowance of hydroponics, Mr. McEvoy’s comments apply to a wide variety of permitted practices for which USDA has yet to approve standards. Tell the NOSB, NOP, Secretary of Agriculture, and your Congressional delegation that organic certification must be based on law, not the arbitrary judgment of the NOP Deputy Administrator. Some NOSB members pointed out the problems with NOP’s arbitrary approach to standards: that the criteria for approving them have not gone through the transparent public review process required by law; that problems of health and environmental impacts, and of consistency with organic principles, may be discovered during the public process; that consumers expect certification to be based on uniform standards enforced consistently; and that once such practices are allowed, it is extremely difficult to prohibit them. Other NOSB members appeared to approve of NOP’s “flexible” (arbitrary) procedures. This action allows you to send letters to Deputy Administrator McEvoy and Secretary of Agriculture Sonny Perdue, and your Congressional delegation, and will automatically take you to Regulations.gov, where you can enter a comment for the NOSB. See some suggested comment language, below. During the National Organic Standards Board (NOSB) webinar on August 14, National Organic Program (NOP) Deputy Administrator Miles McEvoy applauded the “flexibility” of his program in allowing organic certification of operations not permitted by regulations. Although the webinar was focused on hydroponics, Mr. McEvoy’s comments applied to a wide variety of production areas for which USDA has yet to approve standards. In accordance with your responsibilities under the Organic Foods Production Act (OFPA) to advise the Secretary on implementation of the act, please tell NOP to correct this statement through a policy memo that explains the necessity of developing standards before allowing certification. Regardless of your feelings about the hydroponics issue, please let NOP know that it must follow the rule of law, rather than arbitrarily allowing certification decisions to be made in the hodge-podge of actions that OFPA was designed to avoid. To suggest that organic is “flexible” enough to certify products for which there are no standards is a dangerous mistake. This sort of thinking has landed us in the predicament in which we currently find ourselves with hydroponics –where some certifiers certify hydroponic operations as organic, while others do not. Certifiers interpret and consistently apply standards through the certification process and are held accountable through NOP accreditation. We cannot expect certifiers to uphold the integrity of the label in the absence of clear, applicable standards. The standards must come first, created through a public process, with the certified products following. NOP must correct this statement through a policy memo that explains the necessity of developing standards before allowing certification. Ask your U.S. Senators to co-sponsor legislation to ban the neurotoxic insecticide chlorpyrifos — after U.S. Environmental Protection Agency (EPA) Administrator Scott Pruitt reversed the previous administration’s proposal to discontinue its food uses. With EPA’s own assessment that the chemical is too toxic to children, it is time for Congress to intervene to get this highly toxic pesticide off the market. Urge Your Senators to Support a Bill That Bans Chlorpyrifos! In March 2017, EPA Administrator Scott Pruitt reversed a 2015 proposal to revoke food residue tolerances of chlorpyrifos. A revocation of chlorpyrifos tolerances would have effectively banned the chemical from use in agriculture. Instead, Administrator Pruitt’s decision indicated the agency will continue to study chlorpyrifos and would not take any action until 2022. Epidemiological data also point to subpopulations that are disproportionately affected by chlorpyrifos exposures. Low-income African-American and Latino families, including farmworker families, continue to suffer the most, and this disproportionate impact creates an environmental justice problem that the agency cannot continue to ignore. Urge Your Senators to a Support Bill That Bans Chlorpyrifos! U.S. Senators Tom Udall (D-NM) and Richard Blumenthal (D-CT) introduced the bill to ban the use of chlorpyrifos. The bill, “Protect Children, Farmers, and Farmworkers from Nerve Agent Pesticides Act,” S. 1624, amends the U.S. Federal Food, Drug, and Cosmetic Act (FFDCA), which oversees pesticide food exposures, to prohibit all chlorpyrifos use. In addition, the bill directs EPA to partner with the National Research Council to assess the neurodevelopmental and other low-dose effects of exposure to organophosphate pesticides on agricultural workers and children. "Congress must act because Administrator Pruitt has shown that he won’t. There is no question chlorpyrifos needs to come off the market. The science linking chlorpyrifos to brain damage and neurodevelopmental disorders in children is undeniable. The EPA's own scientists have established that chlorpyrifos on food and in groundwater is a threat to public health and should be banned," Senator Udall said. The bill — S. 1624 — is co-sponsored by Senators Cory Booker (D-NJ), Ben Cardin (D-MD), Richard Durbin (D-IL), Kirsten Gillibrand (D-NY), Kamala Harris (D-CA), Ed Markey (D-MA), and Jeff Merkley (D-OR). Tell your Senators to support S.1624, a bill banning chlorpyrifos! 08/08/2017 — UPDATE: Oppose Release of Genetically Engineered Moth in NY! This is a follow-up to our earlier alert. Just as we were asking you to help stop a dangerous plan hatched in New York to control a caterpillar in cabbage, Cornell University was planning to release the moths following a public meeting this week. Cornell University announced today Monday that it will conduct an informational meeting on Wednesday to be followed shortly by the release of genetically engineered diamondback moths. Under the plan, up to 10,000 genetically engineered (GE) male diamondback moths (DBMs) will be released each week during the cabbage planting cycle (which runs about three to four months). According to USDA, “The males are genetically engineered with a lethal gene that they pass on to females when they mate.” Because of the widespread release, this plan — a first of its kind in food crops — will contaminate organic farms with genetically engineered material. And, this is all being done based on a cursory environmental assessment, without an in-depth environmental impact assessment. Many questions have been left unanswered. Act now to tell Cornell University that too many questions remain unanswered! We encourage anyone who can make it to the meeting on such short notice to show up and express opposition to the project. Those who cannot attend can still voice concerns by submitting questions that have not been adequately addressed to the meeting organizers here. Below are some questions you might choose to ask. We believe that it will be more effective if many people choose a few questions than if everyone submits the whole list — and asking your own questions is also encouraged! 1. Have you evaluated whether the Tetracycline “switch” that you use will add to antibiotic resistance of this important human antibiotic? 2. With the use of a tetracycline antibiotic to breed the GE moths, how will you prevent the development of antibiotic-resistant bacteria in their guts, and subsequent spread into the environment and food chain? 3. If there is tetracycline in the environment, will it turn off the “female lethality trait” switch, allowing significantly more females to survive? Tetracycline is used to manage fire blight in apple trees, including potentially at tests at the Geneva Experiment Station, is routinely used in animal production, and is known to persist in manure from these animals. Farms frequently use direct manure applications or compost applications (derived from manure) for fertility. 1. Since DBMs generally travel on the wind, how do you know that they won’t leave the site on a wind gust or storm, so prevalent in this part of NYS? 2. Have you studied wind patterns for this time of year in the Geneva area? 3. Have you mapped the migration of non-GE DBMs in/through the Geneva area? 1. Have the allergenicity and toxicity of components other than the green fluorescent protein — e.g., tTAV and DsRed2 — been evaluated? 2. Have there been specific health studies of the effect of this specific GE insect on humans who may ingest the GE larvae or inhale the GE moths themselves? 3. Have there been specific health studies of the effect of this specific GE insect on wildlife (birds and other mammals) who may ingest the GE larvae or inhale the GE moths? 4. Have there been specific health studies of the effect of this specific GE insect on soil biota where the dead larvae may drop? 5. Are the GMO larvae safe to eat? Please point to safety testing for consumption by humans or animals, including wildlife. 1. If farmers have cabbage and other brassica fields near the Geneva test plots, will their brassica crops be affected by insect releases at the Experiment Station? 2. Will there be a need to spray more than usual to control the diamondback moth? 3. Is there a greater risk of contamination of crops by larvae? 4. Tackling only a single pest reduces competition and can lead to explosions in other pest populations. Have studies been done to evaluate possible consequences of such an imbalance? 5. What will happen when male DBMs spread outside the trial site? Could breeding and release of large numbers lead to a resistance to the female lethality trait? Could the DBMs encounter sufficient tetracycline in the environment to allow them to survive and breed? 1. In what ways do developers expect the insects to mutate and evolve as releases continue? 2. Will resistance to the killing trait evolve over time? In general, 1% of the female moths are expected to survive. There is also a chance that those that survive will eventually build resistance to the “female lethality trait” and/or to pesticides currently used to control them. 1. Will consumers — especially organic consumers — be willing to purchase NY cabbage and other brassicas if they believe it may be contaminated with GE larvae? 2. How will organic farmers and other farmers who do not wish to have DBMs on their crops be protected from spread of DBMs to their fields? 3. Who will be liable and responsible for contamination by DBMs? 08/07/2017 — Oppose Release of Genetically Engineered Moth in NY! Because of the widespread release, this plan — a first of its kind in food crops — will contaminate organic farms with genetically engineered material. And, this is all being done based on a cursory environmental assessment, without an in-depth environmental impact assessment. This is an issue that affects all of us — not just New Yorkers — because the moths do not respect state boundaries, and this action would set a precedent for other states. Following a finding of no significant impact (FONSI) by USDA’s Animal and Plant Health Inspection Service (APHIS) on Cornell University’s proposed release, there is an urgent need to ensure that the state of New York addresses contamination issues that APHIS failed to consider. At the top of the list is possible contamination of organic crops, which could threaten the standing of organic products with consumers and holds the threat of decertification. Other contamination concerns are raised by scientists at the Center for Food Safety, Food and Water Watch, and GeneWatch UK. Act now to tell Cornell University, the New York Department of Conservation, and New York Governor Cuomo to stop releases of genetically engineered diamondback moths until a thorough environmental impact study is performed! The FONSI absolves APHIS from the duty to perform an in-depth environmental impact statement (EIS) under the National Environmental Policy Act (NEPA). The Northeast Organic Farming Association of New York (NOFA-NY) points out that this is the first food use of this particular kind of GE technology — using a genetically engineered male to produce inviable female offspring — and, as such, deserves the full investigation of an EIS, rather than the more cursory evaluation of the environmental assessment that led to the FONSI. In addition to NEPA, New York state law requires a state agency to conduct a review under the State Environmental Quality Review Act (SEQR) when it uses its "discretionary" authority to approve, fund, or directly undertake an action that may affect the environment. In order to release the insects, Cornell must receive a permit under New York Environmental Conservation Law §11-0507 from the New York Department of Environmental Conservation (DEC), as it did for the release of caged insects in the past. However, DEC has denied responsibility for permitting the action. As a university with a state extension service, Cornell is subject to SEQR. If Cornell or DEC does not perform the required EIS, enforcement is up to citizens. According to the DEC website, “[C]itizens or groups who can demonstrate that they may be harmed by this failure may take legal action. . . . Project approvals may be rescinded by a court and a new review required under SEQR. New York State's court system has consistently ruled in favor of strong compliance with the provisions of SEQR.” NOFA-NY has made a strong showing that organic growers may be harmed by this release. Organic growers may be harmed if the moths escape from the research plots. The engineered trait is designed to leave behind dead moth larvae and pupae resulting from the mating of the engineered males with wild females. These residues, if left on organic crops (cabbage, broccoli, and other brassica plants), could threaten the standing of organic products with consumers and threaten decertification. In addition, there are plausible scenarios that would result in release of viable DBMs, which could increase damage to crops. In general, the environmental assessment performed by APHIS ignored a number of important issues, including: contamination of crops with GE dead insects; the impacts on the ecological balance of native brassicas; the lack of research on the migration of DBMs from site to site; impacts in the future if engineered DBMs are released in commercial agriculture; other alternatives besides “no action,” such as the systems approach used by organic growers; the lack of adequate monitoring and buffer zones; food safety; impacts on predators; antibiotic resistance as a result from the use of tetracycline in breeding the moths; other ecological effects; and movement of the DBM across international borders. 07/31/2017 — Protect organic farmers and consumers from fraudulent imports! At a time when the U.S. market demands more organic corn and soybeans than are supplied by domestic organic growers, those same growers are threatened by the flooding of the market with cheaper, fraudulent grains. The resulting impacts — eliminating market opportunities and, at the same time, threatening the value of the organic label — hurt organic farmers in this country. The National Organic Program (NOP) must take action to protect the organic label. According to the Organic Farmers’ Agency for Relationship Marketing (OFARM), the U.S. currently produces only about 60% of the organic corn and 10–30% of the organic soybeans the market demands, while demand is increasing by about 14% per year. Meanwhile, the U.S. market is being flooded with fraudulent “organic” corn and soybeans. In May, the Washington Post documented three large shipments — totaling 7% of annual organic corn imports and 4% of organic soybean imports — originating from questionable overseas certification and fraud. ACT NOW: tell NOP Deputy Administrator Miles McEvoy, Secretary of Agriculture Sonny Perdue, and your Congressional delegation to protect the organic label for the sake of farmers and consumers! ⦁ regulate third-party certifiers and equivalent agencies in other countries administering USDA organic standards. If you are a farmer who has been harmed by import fraud, please add your story to the letter. Thank you for taking action to protect organic farmers and consumers from fraudulent imports! 07/19/2017 — Urgent/by Monday: Help Stop Bee-Toxic Neonicotinoid Pesticides from Killing Bees and Contaminating Waterways! In its recently released 2017 Preliminary Aquatic Risk Assessment for Imidacloprid, the U.S. Environmental Protection Agency (EPA) found this pesticide is not only toxic to bees but also, is destroying life in the nation’s streams, rivers, and lakes. This assessment finds that aquatic invertebrates, especially aquatic insects basic to aquatic food chains, are sensitive to imidacloprid, and that current imidacloprid levels detected in streams, rivers, lakes, and drainage canals exceed acute and chronic toxicity endpoints. Impacts occur at low concentrations, and can result in decreased species abundance, altered predator-prey relationships, and reduced nutrient cycling. Impacts to other wildlife that depend on these species raise serious cause for concern. Comment by July 24 and tell EPA to cancel these neonicotinoids to protect sensitive species and ecosystems. See sample comment language, below. EPA also finds that the other neonicotinoids: clothianidin, thiamethoxam, and dinotefuran, pose risks to bees both on and around treated fields, but the agency has not evaluated risks from soil, surface water, or contaminated seed dust, which underestimates exposure risks and continues to put our native bees at risk. Clothianidin and thiamethoxam are widely used as seed coatings on corn and soybeans, and their residues persist in soil for years, exposing soil-dwelling native bees to harmful levels of these pesticides. Dinotefuran, used mostly on vegetables and fruits, is just as toxic to bees as the other neonics, and has already been responsible for the deaths of thousands of bees in recent years. Still overlooked by EPA are the additive and synergistic effects to non-target communities from exposure to neonics, other pesticides, and so-called “inert” ingredients. Multiple pesticide combinations are used in formulations and tank mixes, and are found in waterways; possible synergistic effects among these chemicals in the environment must be evaluated. Following the public comment period on this aquatic risk assessment, EPA intends to release additional assessments throughout the remainder of 2017, and make registration review decisions for imidacloprid and three other neonicotinoids in 2018. The 60-day public comment period in response to the publication of the risk assessments for these neonicotinoids closes Monday, July 24. EPA needs to hear from you! Comment by July 24 and tell EPA to cancel these neonicotinoids to protect sensitive species and ecosystems. As a concerned citizen, I am alarmed by the frequency of detection of neonicotinoids like imidacloprid in U.S. waterways and the documented risks they pose to aquatic organisms and other species dependent on them. I have long been concerned about EPA’s inaction to protect bees from neonicotinoids. This recently released risk assessment finds that aquatic invertebrates, especially aquatic insects basic to aquatic food webs, are sensitive to imidacloprid, and that current imidacloprid levels detected in waterways exceed acute and chronic toxicity endpoints. Canada has proposed to phase out imidacloprid to protect waterways, and the U.S. must do the same! Additionally, the other neonicotinoids — clothianidin, thiamethoxam and dinotefuran — are shown to be hazardous to both honeybees and native bees. EPA, however, has not fully evaluated all potential exposure routes, such as contaminated soil and surface water, meaning these creatures will continue to be at risk. Given the toxicity of imidacloprid to invertebrates crucial to aquatic food webs, synergistic effects, and its movement into surface waters — along with current data deficiencies plaguing the other neonicotinoids — it is imperative that the registration of these chemicals be cancelled until it can be demonstrated that they can be used in a way that does not put bees or aquatic organisms at risk. EPA must initiate cancellation of imidacloprid, clothianidin, and other neonicotinoids. Thank you for taking action to protect sensitive species and ecosystems from the harmful effects of neonicotinoids! Contact the Senate Agriculture Committee and your U.S. Senators to support strong organic standards! The value of the organic label that we all depend on is under attack in the U.S. Congress. If we don’t stop this, we will not be able to rely on the label to identify the stark differences between current organic and chemical-intensive food production practices. The U.S. Senate Agriculture, Nutrition, and Forestry Committee is accepting comments now on Farm Bill proposals that will erode the meaning of organic. Although there are about 400 days to go before 2012 Farm Bill funding ends, Senator Pat Roberts (R, KS) is taking the opportunity of Senate hearings to attack those institutions that make organic agriculture standards clear, transparent, and subject to Congressionally mandated public oversight. In particular, Sen. Roberts and others are attacking the National Organic Standards Board (NOSB), which is an impediment to organic factory farms. Organic production is subject to rigorous oversight through a certification and inspection process, not found in conventional agriculture, but needing continual improvement to keep pace with the tremendous growth of the organic sector. We want to protect and strengthen these standards, not reduce and weaken them. Click here to tell your U.S. Senators that you want them to protect the value of the organic food label by not allowing the Senate Agriculture Committee to weaken the independence and authority of the National Organic Standards Board. When the Organic Foods Production Act (OFPA) was written, the authors understood that the program would be housed in the U.S. Department of Agriculture (USDA), which has been a big proponent of chemical and genetically engineered agriculture. In order to ensure that regulations implementing the law remained true to organic principles and values, the authors incorporated into OFPA a requirement that USDA consult with an independent National Organic Standards Board in developing the National Organic Program (NOP) and the National List of Allowed and Prohibited Substances. It requires that the National List be “based on” recommendations of the NOSB and prohibits USDA from adding to the National List synthetic materials that are not recommended by the NOSB. The NOSB is composed of representatives of the organic community: producers, handlers, retailers, certifiers, consumers, environmentalists, and scientists. It was carefully balanced to ensure that the two-thirds majority required to pass a substantive motion could only be attained if the different interest groups work together to build consensus. Those who would like factory farms to be able to profit from organic certification are frustrated by animal welfare rules and the NOSB opposition to certification of hydroponics operations that are not soil-based and inherently dependent on synthetic chemical inputs. Among the suggestions made by supporters of organic factory farms is changing the composition of the NOSB. NOSB “reform” is clearly intended to remove the requirement of continual improvement from the National Organic Program. Continual improvement means that new knowledge incentivizes new practices and materials, making old materials and practices obsolete as organic methods constantly evolve. Organic producers have always been on the forefront of changing agriculture to make it more sustainable and regenerative. “Continual improvement” is a threat to those who have a lot invested in an industrial model. As a member of the organic community, it is important to me that I am represented in decisions regarding organic production by members of the National Organic Standards Board (NOSB). The authors of the Organic Foods Production Act created the NOSB to provide balanced guidance to the National Organic Program. Decisions by the NOSB require a two-thirds majority, and hence force consensus among producers, consumers, and others in the organic community. This process protects the value and trust that the public gives to the organic label in the market. Without the independence and authority of the Board, the $50 billion organic market is threatened. Please support organic production and the NOSB process for ensuring that organic oversight and certification protects and enhance the value of the organic label for farmers and consumers. 07/13/2017 — Urgent: Comment on GE Labeling by Monday! Send your comments to AMS in support of your right to know now! USDA regulations will determine whether genetically engineered (GE) ingredients are identified on product labels, or hidden behind high-tech codes. Genetically engineered foods pose risks that are not considered by regulators. Consumers have a right to know whether the products they buy contain GE ingredients. This information should be on the product label. A “compromise” bill on labeling genetically engineered food was passed last year, leaving it to the U.S. Department of Agriculture (USDA) to decide which foods would be labeled, and how they would be labeled. In preparation for drafting regulations, the USDA Agricultural Marketing Service (AMS) has posed 30 questions regarding the implementation of the law. AMS is accepting input until Monday, July 17. This is a chance to help shape USDA’s proposal. The definition of “bioengineering” must include all forms of genetic engineering, including newer forms like CRISPR and RNA interference (RNAi). Definitions should be compatible with those recommended by the National Organic Standards Board. Each GE ingredient must be identified, including highly refined GE sugars and oils, and processed corn and soy ingredients. Even if they are so highly processed that the GE ingredients are present only at undetectable levels in the final product, they are still GE foods. GE ingredients must be identified on product labels, or product shelves in the case of raw foods. All products required to have labels should include identification of GE ingredients on the label. There must be no delays in making regulations effective. Manufacturers have already had years’ worth of notice and preparation to provide this information, at the state and federal level. Indeed, many major food companies have been labeling for some time. The most dependable way to avoid GE ingredients is to buy organic, but all consumers have a right to know what is in their food. You may send the letter as is, or add specific responses to AMS’s 30 questions. See Beyond Pesticides comments here. Thanks for taking action on GE labeling! 07/09/2017 — Help Protect a Fragile Ecosystem from Being Contaminated by Neonics That Poison Aquatic Organisms! Tell Ecology that imidacloprid use should not be allowed in Willapa Bay and Grays Harbor, based on new information about its dangers. Washington State Department of Ecology (Ecology) needs to hear from you as it completes a draft Supplemental Environmental Impact Statement (SEIS) on yet another application from oyster growers to poison Willapa Bay and Grays Harbor with the neonicotinoid imidicloprid. This is an unacceptable way to treat a critically important estuary, given what we know about the threat that neonicotinoid insecticides pose to aquatic organisms, in addition to their widely known adverse effects on pollinators. Tell Ecology that imidacloprid use should not be allowed in Willapa Bay and Grays Harbor, based on new information about its dangers! The application to use neonics in Willapa Bay was recently submitted to Ecology by a group of oyster farmers from the Willapa Grays Harbor Oyster Growers Association (WGHOGA), who “propose to use the pesticide to treat tide lands to support their aquaculture practices.” Imidacloprid is known to be toxic to bees and aquatic organisms, raising questions on the impacts of its use on the long-term ecological health of the bay. The target organisms are two species of “burrowing shrimp,” ghost shrimp, Neotrypaea californiensis, and mud shrimp, Upogebia pugettensis — native species that have an important function in this ecosystem, but are blamed by shellfish growers for their declining industry. According to an analysis conducted by the Xerces Society, “The benefits from these species are likely to include ecosystem services such as substrate bioturbation, improving water quality, and nutrient availability.” Other species, such as migratory birds that depend on shoreline aquatic invertebrates, can also be significantly affected. An earlier permit issued for imidacloprid use in Willapa Bay and Grays Harbor was withdrawn in May 2015 following a nationwide public outcry. The new proposed permit would cover a smaller area, with application of imidacloprid from boats or ground equipment rather than aerially from helicopters. However, there is new information about the ecological hazards of imidicloprid in aquatic systems that must be considered in the new SEIS and Ecology decision. The 2017 Preliminary Aquatic Risk Assessment for imidacloprid by the U.S. Environmental Protection Agency (EPA) and similar risk assessments add new research to the supplemental environmental review being drafted by Ecology. In its 2017 risk assessment, EPA finds risks from imidacloprid exposure to ecologically important organisms not previously evaluated as part of its regulatory review. A 2013 comprehensive assessment of the effects of imidacloprid in surface water reports a wide variety of aquatic invertebrates adversely harmed by imidacloprid residues in water. Ecology needs to consider these important findings, as well as others. Thanks for taking action to oppose use of neonicotinoids in this rich and important ecosystem! Tell Your Members of Congress: EPA Must Evaluate Impact of Pesticide Mixtures! A new report released several weeks ago by the U.S. Environmental Protection Agency’s (EPA) Office of the Inspector General (OIG) recommends that the agency must collect and assess information on pesticide mixtures and synergistic effects in order to improve oversight over pesticide registrations and management of herbicide resistance. Synergy results when the mixture of chemicals creates effects greater than the aggregation of individual effects, leading to underestimated toxic impacts on human and environmental health. EPA’s Office of Chemical Safety and Pollution Prevention states it will consider how best to use synergistic effects data for pesticide registration decisions by 2019. This is not soon enough! >>Tell your Members of Congress: EPA must evaluate impact of pesticide mixtures! In addition to issues around synergy, the OIG’s report also finds a lack of communication and collaboration between the EPA and its public and private stakeholders regarding herbicide resistance management. The report also notes that EPA does not have measures to track its progress in addressing and slowing the spread of herbicide resistance. To address growing weed resistance, EPA has endorsed a strategy to combat weeds that have become resistant to a particular herbicide brought on by the widespread use on GE crops. The strategy generally involves the use of multiple herbicides with differing modes of action, often within a single product. Additionally, farmers are being encouraged to spray their fields with multiple herbicides. However, the effects of these herbicide mixtures have not been fully evaluated and risks are underestimated when registering a pesticide. As the crisis in weed resistance escalates, threatening crop productivity and profitability, organic agriculture remains as a solution that protects public health, the environment, and farmers’ livelihood. Thanks for taking action to support meaningful action around pesticide registration procedures to protect human health and the environment! Tell Your Member of Congress: Support the Saving America's Pollinators Act! Representatives Earl Blumenauer (D-OR) and John Conyers (D-MI) have re-introduced the Saving America’s Pollinators Act, which calls for a suspension of neonicotinoids (neonics), a class of pollinator-toxic pesticides, and requires a full review by the U.S. Environmental Protection Agency (EPA) before re-entry of these products into the market. >>Tell Your Member of Congress: Support the Saving America's Pollinators Act! The Saving America’s Pollinators Act requires the Administrator of EPA to suspend the use of neonicotinoid insecticides, including imidacloprid, clothianidin, thiamethoxam, and dinotefuran, until the agency can review the registration and declare that such insecticides do not cause adverse effects on honey bees and other pollinators. It also requires the Secretary of the Interior, in coordination with the Administrator of the EPA, to monitor the health of native bee populations and to identify and publicly report the likely causes of bee kills. With one in three bites of food reliant on bees and other beneficial species for pollination, the decline of honey bees and other pollinators demands swift action. Mounting scientific evidence, along with unprecedented annual colony losses in the last few years, demonstrate the impacts that the pesticides are having on these fragile species. Neonics are pervasive and widely used across our agricultural system in the form of seed coatings, soil drenches, and sprays. These pesticides have been found by a growing body of scientific literature to be linked to pollinator decline in general. Neonics are associated with decreased foraging and navigational ability, as well as increased vulnerability to pathogens and parasites as a result of suppressed bee immune systems. A 2015 study from the American Bird Conservancy (ABC) and the Harvard T.H. Chan School of Public Health, reveals neonics to be present in nearly all the food sold in Congressional cafeterias. Tell your member of Congress to act today! Thanks for taking action to protect pollinators and support a shift away from the use of these toxic pesticides in exchange for organic land management practices. 06/16/2017 — Encourage Kroger to Protect Bees! Tell Kroger to stop selling food grown with bee-toxic pesticides! Bee-toxic neonicotinoid (neonic) pesticides are being widely used in food production, putting bees and other pollinators in danger. One out of every three bites of food requires pollination. Without pollinators, grocery stores would not be able to carry many products consumers love –such as strawberries, almonds, and apples. >>Sign the petition to Kroger: Stop selling food grown with bee-toxic pesticides! Neonics are pervasive and widely used across our agricultural system in the form of seed coatings, soil drenches, and sprays, from which they are incorporated into plant tissues, including pollen and nectar. These pesticides have been found by a growing body of scientific literature to be linked to pollinator decline in general. Neonics are associated with decreased foraging and navigational ability, as well as increased vulnerability to pathogens and parasites as a result of suppressed bee immune systems. If we want to get neonics out of our food supply, our grocery stores need to stop selling food grown with these toxic pesticides. Let your voice be heard and tell Kroger, the second largest food retailer in the U.S., to protect pollinators and our food supply by eliminating products grown with these pesticides and carrying more USDA certified organic food! Thanks for taking action to protect pollinators and our food supply. Contact restaurants in your community to participate in the Made by Pollinators campaign during Pollinator Week 2017. During National Pollinator Week, June 19-25, 2017, Beyond Pesticides is partnering with select restaurants to increase consumer awareness and action to protect pollinators. By teaming up with restaurants that support local, organic and sustainable practices that take into account whole food and ecological systems, the campaign will educate the public on the importance of pollinators and ways they can become more active in protecting bees and other pollinators. >>Contact local restaurants to get them involved in the Made by Pollinators campaign in your own community. We have worked with restaurants to identify menu items or ingredients that are pollinator dependent. These ingredients are identified with a bee icon on the restaurant’s menu or website. Other restaurants have created a “Pollinator Special” to celebrate the week. Restaurant patrons will see that nearly one in every three bites of food we take relies on pollinators, and the campaign encourages them to get involved in combating pollinator decline. National Pollinator Week, June 19-25, 2017 is a time to increase public awareness of the critical contribution pollinators––bees, butterflies, birds, bats, and other organisms––make to plant health, crop productivity, and the preservation of natural resources, as well as the threat to their existence from pesticide contaminated habitat. Pesticides have consistently been implicated as a key contributor to dramatic pollinator declines. Of the 100 crop varieties that provide 90% of the world’s food, 71 are pollinated by bees. Honey bees alone pollinate 95 kinds of fruits, nuts and vegetables, such as apples, avocados, almonds, and cranberries. 1) Organize a Meeting in Your Community. Utilize a public space, such as your local library or community center, have a house party, or host a pollinator-friendly dinner and view the talk Bees, Pollinators, and Biodiversity, by Vera Krischik, Ph.D. from Beyond Pesticides’ 35th National Pesticide Forum. This is a perfect opportunity to have a discussion with your friends and neighbors about the serious issue of pollinator decline and what you can do. 2) Make Change Happen in Your Community. Armed with allies and resources from your video screening party, go to your elected official and ask them to introduce the Model Pollinator Resolution and/or our Model Lawns and Landscapes policy. >>Get the Model Community Pollinator Resolution here, and our Model Lawns and Landscapes Policy here. >>For more information, or help with your campaign, see our fact sheet, How to Start Your Own Local Movement, see our BEE Protective webpage, or get in touch with us. Build the buzz in your community to make changes that will protect your local pollinator population! Thank you for taking action to educate your community about the importance of pollinators! Comment now to protect organic animal welfare and preserve the public process that underpins the NOSB. At its spring meeting in Denver, Colorado, the National Organic Standards Board (NOSB) voted unanimously to recommend that the Organic Livestock and Poultry Practices rule become effective immediately. This organic livestock rule should have become effective on March 20th, but the Trump administration has delayed it until fall 2017. Now, USDA is asking for public input on whether the rule should take effect immediately, be delayed further, or be withdrawn entirely. Additionally, according to the Maine Organic Farmers and Gardeners Association (MOFGA), there has been a recent move by the U.S. Senate Agriculture Appropriations to block the USDA’s capacity to move the Organic Livestock Rule forward through a “policy rider aimed at blocking funds for drafting, preparing and publishing either an interim rule or a final rule.” These efforts to obstruct the rulemaking process must be stopped. >> Comment by June 9 to protect organic animal welfare and preserve the public process that underpins the NOSB, see sample comment below. While Beyond Pesticides believes that the proposed rule is not as strong as it needs to be, it is a move in the right direction, and must become effective immediately to protect organic animal welfare and preserve the public process that underpins the NOSB. As an organic consumer, I support the recommendation by the NOSB to allow the Organic Livestock and Poultry Practices rule to take effect immediately. It is crucial to ensure consistent standards for organic livestock and poultry operations, where a few large operations are using loopholes to deny proper living conditions for their animals. While the proposed rule is not as strong as it needs to be, it is a positive move and must become effective immediately to protect organic animal welfare and preserve the public process that underpins the NOSB. >> Comment by June 9 to protect organic animal welfare and preserve the public process that underpins the NOSB, see sample comment above. Thank you for speaking up to protect organic animal welfare and uphold the public process that supports and enhances the National Organic Program! Last week, the U.S. House of Representatives voted to pass a bill that would reverse an Environmental Protection Agency (EPA) requirement to obtain a permit before spraying pesticides on or near waterways. The passage of HR 953, The Reducing Regulatory Burdens Act (known by environmentalists as the “Poison Our Waters Act”), is the latest update in a multi-year string of attempts to rollback commonsense protections for the public waterways all Americans use for swimming, fishing, and other forms of recreation. The bill has passed the House of Representatives and is on its way to the Senate. contaminate drinking water sources and harm aquatic life. >> Send a letter to your U.S. Senators and tell them to support clean waterways in your state and throughout the nation by opposing HR 953. Already nearly 2,000 waterways are impaired for pesticide contamination, and likely many more have not been tested. We cannnot allow a regressive slide away from public health and environmental safety for our nation's waterways. If signed into law, this bill would reverse a 2009 decision issued by the 6th Circuit Court of Appeals, in the case of National Cotton Council et al. v. EPA, which held that pesticides applied to waterways should be considered pollutants under federal law and regulated under the Clean Water Act (CWA), through National Pollutant Discharge Elimination System (NPDES) permits. Prior to the decision, the EPA, under the Bush Administration, had allowed the weaker and more generalized standards under the Federal Insecticide, Fungicide and Rodenticide Act (FIFRA) to be followed. This allowed pesticides to be discharged into U.S. waterways without any federal oversight, as FIFRA does not require tracking such applications and assessing the adverse effects on local ecosystems. Make sure organic agriculture has the support from Congress to continue to grow around the country through increased research funding. Last week, Representatives Chellie Pingree (D-ME), Dan Newhouse (R-WA), and Jimmy Panetta (D-CA) introduced the Organic Agriculture Research Act to increase support for the rapidly growing organic agriculture and food industry. The bill increases funding for the Organic Agriculture Research and Extension Initiative (OREI) from $20 million to $50 million annually as well as extending the program’s authorization to 2023. OREI is a program that funds research, education, and extension projects for organic growers and processors. >> Send a letter to your members of Congress and tell them that you support the bipartisan Organic Agriculture Research Act. Organic agriculture is a systems approach that promotes healthy, biologically active soils to support plant and animal life and provide critical environmental benefits, such as improved water infiltration, pest suppression, and carbon storage. It is through this soil-based systems approach that we will eliminate toxic chemicals in land management, which is a driver in soil contamination and loss of microbial and faunal diversity. Chemical-intensive agriculture also relies on synthetic chemical fertilizers that reduce soil fauna, flora, and organic matter, and contaminate waterways. Thank you for taking action. As a constituent, your voice, joined by others around the country, will make a difference! Call Ace Hardware and urge them to eliminate bee-killing neonicotinoid insecticide products from their stores and follow the recent actions by Walmart and True Value! Walmart and True Value announced several weeks ago that they will be phasing out neonicotinoid (neonic) insecticides from all retail supply chains. These announcements follow numerous scientific studies that have consistently implicated neonics in the decline of honey bees and wild pollinators. The decision stems from ongoing consumer and environmental campaigns urging retailers to stop selling plants treated with neonics and products containing these toxic substances. Walmart and True Value join a large number of others in their pledge to do more to protect pollinators. One company that has not yet responded to the consumer campaign is Ace Hardware. As the world’s largest hardware retail cooperative, Ace Hardware has over 4,800 locations and the potential to create large-scale industry change. >>Call Ace Hardware at 866-290-5334, press 5, and use the call script below. Neonicotinoids are systemic pesticides, or whole plant poisons, which move through a plant’s vascular system and are expressed in the pollen, nectar, and sap (guttation droplets). In light of the shortcomings of federal action to protect pollinators, it is more crucial than ever that retailers drive markets away from these toxic pesticides. Eliminating the sale of harmful pesticides does not mean that retailers will have nothing left to sell their customers. Last year, Beyond Pesticides released The Well Stocked Hardware Store, an online toolkit that identifies organic compatible products for hardware stores seeking to find replacement products that can be used with an organic system approach to land management. Thank you for sending a message to Ace Hardware urging them to follow the actions taken by Walmart and True Value! Hello, my name is [_____] and I am calling as a concerned citizen and customer of Ace Hardware. I urge Ace Hardware to stop carrying neonicotinoid pesticide products and end sales of plants grown with these pesticides, in order to protect pollinators and the environment. The majority of science links neonicotinoids to bee and pollinator decline. It is crucial that hardware stores such as Ace lead the way on shifting the marketplace away from these toxic pesticides and toward green products. Several weeks ago, Walmart and True Value made formal statements on their decision to eliminate neonics from their company supply chains and store shelves. I congratulate these retailers for listening to the sound science on neonics’ impact on pollinator decline and urge Ace to follow suit to eliminate these unnecessary and harmful pesticides. Thank you for passing on this important message about pollinator protection to your company headquarters. I will be tracking your actions on this in the coming months. Comment now to let the Trump Administration know that you support EPA’s role in protecting and safeguarding the environment and public health! President Trump’s Executive Order, Enforcing the Regulatory Reform Agenda, is an attempt to replace, repeal, or modify regulatory actions of the U.S. Environmental Protection Agency (EPA), based on the false notion that these regulations are unnecessary and are negatively affecting our economy. EPA is now seeking input on regulations that may be eligible for these actions based on a list of criteria and will evaluate and make recommendations following public comment. EPA will assess these regulations through a Regulatory Reform Task Force, which will attempt to identify regulations that eliminate jobs, impose costs that exceed benefits, or rely on data not publically available, amongst other criteria. Comment through the open docket now until May 15th! Our message is that EPA’s regulations need improvement not repealing. While EPA is not without flaws in their regulatory practices, the clear attacks on public health and the environment by the Trump administration demands urgent action. This Executive Order issued by the President is false in its premise that environmental protections are negatively impacting our economy. In reality, EPA must be asking for input on how to improve upon its mission of protecting the environment and human health, rather than backing away from these necessary protections. For more information, see EPA’s Regulatory Reform webpage. We must ensure that the public health and environmental protections that we depend upon for clean water, clean air, and healthy natural resources are not undermined by the new administration. To comment, go to EPA’s docket. Click the Comment Now button. Comment through the open docket now until May 15th! Go to the docket to place your comment in the box provided. You may cut-and-past the comment below. Always personalize the comment in some way. Let your voice be heard on this. Our communications against attempts like this will be noticed, just as our failure to communicate will be viewed as an indicator of support. As a citizen concerned about protecting the environment and human health, I appreciate the opportunity to offer comments on EPA’s proposed evaluation of existing regulations. This Executive Order issued by the President is false in its premise that environmental protections are negatively impacting our economy. I believe it is your agency’s duty to stand up for and improve regulations that are protective of human health and the environment rather than back away from these crucial safeguards. In creating the Regulatory Reform Task Force, I urge you to seek representation from all affected parties, not just business owners and corporations whose short-term bottom line may be impacted. I look forward to seeing how you engage on these issues, as we need champions for the environment and human health now more than ever and I will continue to hold this agency accountable. Send a message to your members of Congress telling them to take action to oppose the corporate influence of Dow Chemical over the Trump Administration! Last week, reports came out about the corporate influence of Dow Chemical over the Trump Administration and its work to undermine science across multiple federal agencies. After contributing $1 million to Donald Trump’s presidential festivities, pesticide maker Dow Chemical is asking the Administration to set aside previous findings of federal scientists across multiple agencies that confirm the risks that organophosphate pesticides pose to about 1,800 critically threatened or endangered species. >>Send an email to your members of Congress! According to the Associated Press, “lawyers representing Dow, whose CEO is a close adviser to Trump, and two other manufacturers of organophosphates sent letters last week to the heads of three of Trump's Cabinet agencies. The companies asked them "to set aside" the results of government studies the companies contend are fundamentally flawed.” The agencies being targeted are the U.S. Environmental Protection Agency, the Fish and Wildlife Service, and the National Marine Fisheries Service, which have compiled more than 10,000 pages on official record about chlorpyrifos, diazinon, and malathion, indicating that these pesticides pose a risk to almost every endangered species being assessed. While these agencies are not without flaws in their regulatory practices, the clear attacks on public health and the environment by the Trump Administration through corporate collusion demands urgent action. We must ensure that the public health and environmental protections that we depend upon for clean water, clean air, and healthy natural resources are not undermined by the new administration and the corporations which have the ear of Trump and his agency heads. As a constituent, your voice, joined by others around the country, will make a difference! Take Action to Restrict the Use of Neonicotinoids to Protect Human and Environmental Health! With new findings of neonicotinoid (neonics) insecticides in waterways and in drinking water, it is imperative that action be taken to restrict the contamination of our waters by these persistent chemicals. As pollinators nationwide suffer severe declines tied to widespread exposure to neonics, a new report released last week by Beyond Pesticides details the chemicals’ dramatic impacts on aquatic ecosystems and biodiversity. This report coincides with findings of neonicotinoids in drinking water. >>Send a message to Scott Pruitt urging him to publish the neonic assessments for public comment. An early 2017 U.S. Environmental Protection Agency (EPA) preliminary risk assessment on one of the most widely used neonics, imidacloprid, reports levels in streams, rivers, lakes and drainage canals that routinely exceed acute and chronic toxicity endpoints derived for freshwater invertebrates. EPA has not released the risk assessment for public comment as planned, as planned. Given the threat that imidacloprid and other neonicotinoids pose to the aquatic food web, it is critical that EPA moves ahead with its assessment. Use your voice to help ensure the use of neonics are adequately restricted by using the different levels of action below. >>Send a message to EPA Administrator Scott Pruitt urging him to move ahead with the publication of the aquatic risk assessment of imidacloprid to ensure adequate protection of our nation’s streams, rivers, and lakes, as has been done in Canada, which recently proposed to phase-out uses. >>Send an email to your governor urging him/her to suspend the use of neonicotinoids in their state, citing risks to aquatic life and contamination of our waterways. >>Pledge to stop using neonicotinoids and other toxic pesticides by signing the pollinator protection pledge today. >>If you haven’t already seen our action from last week, send an email to Amazon CEO, Jeff Bezos, telling him to protect pollinators by removing neonicotinoid products from its website! Thank you for taking action to restrict the use of neonicotinoids to protect human and environmental health! Tell Amazon CEO, Jeff Bezos to Protect Pollinators by Removing Neonicotinoid Products from its Website! On March 30, Beyond Pesticides and over 30 environmental and public health groups, joined by several environmentally responsible businesses, sent a letter to Amazon CEO Jeff Bezos, urging him to remove products linked to pollinator declines from the retailer’s website. Citing federal inertia that has allowed pollinator declines to continue at alarming rates, the groups pointed to the need for action from private companies to combat known threats to pollinators, in this case a class of pesticides known as neonicotinoids. >>Send an email to Amazon CEO, Jeff Bezos. This ask comes on the heels of the decision by the federal government to officially list the rusty patch bumblebee as an endangered species – the first ever bumblebee, and first bee overall in the continental U.S. Without swift and meaningful action by companies like Amazon, these environmental groups allege that the rusty patch bumblebee may be the “canary in the coal mine” for larger and further reaching pollinator losses. Thank you for sending a message of concern to Amazon CEO, Jeff Bezos! Tell EPA Administrator Scott Pruitt to Protect Human Health and the Environment over Corporate Interests! This past Wednesday, U.S. Environmental Protection Agency (EPA) Administrator, Scott Pruitt, rejected the conclusions of EPA scientists and independent scientific literature, and reversed a proposed decision from 2015 that would have effectively banned chlorpyrifos from agriculture. This decision stemmed from a petition and lawsuit filed by the Natural Resources Defense Council (NRDC) and Pesticide Action Network North America (PANNA) ten years ago, calling for EPA to revoke all chlorpyrifos tolerances and cancel all registrations. The lawsuit required EPA to respond to the petition by March 31, 2017. Mr. Pruitt’s decision allows continued neurotoxic dangers for humans, especially children, who have been shown to be particularly vulnerable to chlorpyrifos. >>Send a message about chlorpyrifos to EPA Administrator Scott Pruitt. Let your voice be heard on this. It is not a waste of our energy to continue to communicate with federal agencies that are not upholding their responsibility to protect people and the environment. Our communications against decisions like this will be noticed, just as our failure to communicate will be viewed as an indicator of support. Chlorpyrifos is part of the organophosphate (OPs) class of pesticides, which were used in World War II as nerve agents. As potent neurotoxicants, organophosphates are extremely harmful to the nervous system, given that they are cholinesterase inhibitors and bind irreversibly to the active site of an enzyme essential for normal nerve impulse transmission. The scientific evidence of neurotoxic dangers associated with chlorpyrifos exposure is extensive and consistent. According to the EPA press release regarding the decision to reject the petition to ban chlorpyrifos, Mr. Pruitt cited the “…need to provide regulatory certainty to the thousands of American farms that rely on chlorpyrifos, while still protecting human health and the environment.” Sheryl Kunickis, the director of the Office of Pesticide Management Policy at the U.S. Department of Agriculture (USDA) supported the decision and went on to say that the decision would benefit both farmers and consumers.EPA’s own science and extensive independent science contradict these statements. Jay Feldman, Executive Director of Beyond Pesticides, responded to EPA’s decision to retain uses of chlorpyrifos. EPA’s decision is a warning to consumers that we live in a buyer beware country, where consumers and those who may use or work around pesticides must be on the lookout to protect themselves and their families, given that lack of protection from EPA. The best solution is to avoid food grown with toxic pesticides by buying certified organic food, test and filter drinking water for residues, and ensure that lawn and garden practices and products used in homes, parks, and school yards are organic compatible. The EPA’s announcement is a signal that the public cannot trust the safety of the food supply grown with toxic pesticides and pesticides available in stores and used in communities across the country. Thank you for sending a message of concern to EPA Administrator Scott Pruitt! Send a Message of Support to the U.S. Fish and Wildlife Service for its Action to Protect the Rusty Patched Bumblebee! On March 21, the U.S. Fish and Wildlife Service (FWS) officially listed the rusty patched bumblebee under the Endangered Species Act (ESA), after months of turmoil due to the Trump Administration’s temporary freeze on federal regulations adopted at the end of the Obama Administration. This historic protection comes at a critical moment for this important pollinator, which has vanished from 90 percent of its range since the 1990s. >>Thank FWS for protecting the rusty patched bumblebee and urge FWS to develop and implement a strong recovery plan immediately. According to FWS, “Causes of the decline in rusty patched bumble bee populations are believed to be loss of habitat; disease and parasites; use of pesticides that directly or indirectly kill the bees; climate change, which can affect the availability of the flowers they depend on; and extremely small population size. Most likely, a combination of these factors has caused the decline in rusty patched bumble bees.” There is substantial research demonstrating that neonicotinoid insecticides, working either individually or synergistically, play a critical role in the ongoing decline of bees and other pollinators. Although there may be weaknesses in the ultimate protection, environmental groups and other concerned parties can unify around strenuously enforcing this decision. As EPA makes decisions on allowable pesticide use, it must ensure that the approved pesticide uses do not “take” or “harm” the listed species. Groups will keep a lookout for new lawsuits coming from industry to challenge this decision. While attacks against ESA listings are likely to become more frequent over the next several years, the importance of wild pollinators, both to agricultural productivity and for their intrinsic value, has become more widely understood, as domesticated and native bees suffer dramatic declines in their population. >>Thank FWS for protecting the rusty patched bumblebee and urge them to develop and implement a strong recovery plan immediately. In addition to the rusty patched bumblebee, a recent report from the Center for Biological Diversity found that nearly 1 in 4 species of native bee is imperiled and at increasing risk of extinction. Many studies link pesticide use to these declines. Neonicotinoids have been shown to impair bee foraging and learning behavior, reproduction, and suppress bee immune systems making them more susceptible to disease and parasites. Thank you for sending a message of support to FWS officials! Contact your Members of Congress and demand an investigation into the collusion between EPA and Monsanto about Roundup’s safety! >>Call the Capitol switchboard at 202-224-3121 and ask for your Senator or Representative. Tell them you demand an immediate investigation into collusion between EPA and Monsanto using the call script below! Reports suggest that a senior official at the EPA worked to suppress a U.S. Department of Health and Human Services review of glyphosate, and may have leaked information to Monsanto. I believe that a Department of Justice investigation is warranted to look into any potential misconduct by employees of the EPA. I also believe a congressional hearing is immediately warranted. All Senators and Representatives should be concerned about this level of collusion between government officials and chemical companies and must demand an investigation. The very agency that is tasked with protecting human health and the environment has been found to be protecting corporate interests instead and it must be stopped. Hi [Senator or Representative], my name is [ ] and I am a constituent in [home state]. I am calling to ask you to join with Representative Lieu in demanding an immediate Department of Justice investigation into potential misconduct by EPA employees surrounding the safety of glyphosate (Roundup). Recent reports suggest that a top official at EPA worked to suppress a Department of Health and Human Services review of the pesticide and leaked confidential information to Monsanto. Please join with Representative Lieu in demanding an immediate congressional hearing and investigation of potential collusion between EPA officials and Monsanto that may have misled the public on the health risks from Roundup. Thank you, and I will be following your actions on this in the coming weeks. Take Action: Educate your neighbors on pesticide-free lawn care! With spring right around the corner, now is the time to educate your neighbors on the importance of pesticide-free lawn care. >>Find out how to order pesticide-free lawn door hangers here. You don’t need to use toxic lawn chemicals to have a safe and healthy green lawn. But it’s not always easy to talk to people about pesticides. Our Safe Lawn Door-Hanger helps concerned neighbors spread the word about lawn pesticides and alternatives with minimal confrontation. It can be used as an icebreaker for conversation or just hung on the front door or other visible spot of the homes you know or suspect use pesticides. The information on the hanger leads them to helpful resources on safe lawn care from every region of the country. The back of the doorknob hanger states, “You don’t need to use toxic lawn chemicals to have a safe and healthy green lawn” and “It’s never too late to have a naturally green lawn. Spring, Summer, or Fall, there are simple steps you can take to prevent weeds, nurture soil, and never use dangerous lawn pesticides. It’s worth it!”. >>You can also download a high resolution PDF for free here. A growing body of evidence in scientific literature shows that pesticide exposure adversely affects neurological, respiratory, immune, and endocrine systems in humans, even at low levels. Children are especially sensitive to pesticide exposure as they take in more pesticides relative to their body weight than adults and have developing organ systems that are more vulnerable and less able to detoxify harmful chemicals. People with pre-existing health problems have elevated risk factors. Fortunately, there are proven safe, effective, and affordable ways to maintain attractive lawns and playable fields without the use of toxic pesticides. For more information on Toxic-Free Lawn Care, call Beyond Pesticides at 202-543-5450 or visit us on the web at www.pesticidefreelawns.org. Want to take it a step further than educating your neighbors? Think about working with community members to enact a policy that takes a stand against the use of toxic pesticides on lawns and landscapes. For ideas on how to effectively organize and prepare for action to protect human and environmental health, look back at our Action of the Week from February 27th. Contact Your Members of Congress to Oppose Proposed Cuts to EPA Funding! Help make sure the U.S. Environmental Protection Agency (EPA) has the funds to operate effectively and address critical issues of health in our community. >>Send a letter to your members of Congress now! As an often fierce critic of many EPA policies that fall short of the actions that Beyond Pesticides advocates, we feel strongly that EPA must function to protect health and the environment against polluters. Therefore, we strenuously oppose undermining EPA’s authorities or dismantling its programs. EPA plays a critical role in evaluating scientific findings and issuing rules that protect human health and the environment. But, EPA does not have a chance to accomplish what it should without a reasonable budget. Your members of Congress have a direct role in the final budget level, as they will have a vote on the funding levels in the coming weeks through the federal appropriations process. While EPA is not without flaws in the way it regulates pesticides, the clear attacks on public health and the environment through proposed budget cuts by the Trump administration and EPA Administrator Scott Pruitt demands urgent action. We must ensure that the public health and environmental protections that we depend upon for clean water, clean air, and healthy natural resources are not slashed under the new administration. >>Send a letter to your members of Congress and tell them that you adamantly oppose any budget cuts to EPA! According to the Washington Post, the proposed plan created by the Trump administration would slash staff from 15,000 to 12,000 and cut state grants and air and water program funding by 30 percent. EPA was established in 1970 by President Nixon and has made significant strides in cleaning up common-pool resources like air and water since its inception. It has much more work to do in protecting American citizens from toxic pesticides, air pollution, and water contamination, and will not be able to carry out these important roles if its budget is slashed. As a constituent, your voice, joined by others throughout the state, will make a difference! Thanks for taking action! With Human Health and Environmental Protection under Siege, Action in Your Own Community is More Crucial than Ever! Here’s how to prepare for effective action. In response to your concern about all of the rollbacks to human health and environmental protections that are beginning to occur in Congress and with the Trump Administration, Beyond Pesticides is providing the tools for you to take action. There are many issues that may be under attack in the coming months and years, including dismantling organic standards, polluting our air and water, and undoing endangered species protections. Starting with grassroots action in your community is a powerful way to effect change and set up a course for protecting these standards against efforts to weaken them and positive reform. Beyond Pesticides has worked successfully with community residents nationwide to start local movements to get toxic chemicals out of their towns, cities, counties, and schools, replacing them with organic and sustainable practices. As you know, pesticide use is a public health and environmental concern, so joining with others through local action means that your community is working to stop chemical use that pollutes air, water, and land and contribute to global climate change. Ensuring that we maintain a legitimate certification process in the marketplace, the USDA organic seal, means that we have a choice to support and help expand practices that are good for health and the environment. With all of the issues facing our environment, human health, and the food system, it is critical to organize with these broad concerns in mind, while targeting specific actions. Remember, as a constituent of elected officials, your voice, your experience, the health of you and your family is powerful and critical in our current political environment. In order to most effectively engage with Members of Congress and local officials, it is important to gather more widespread support to organize for positive change. Level One — Make your voice heard. Identify issues of concern to you and make your positions known to decision makers. Beyond Pesticides provides suggestions on timely issues in various federal and state agencies, and in Congress, through our Action of the Week, but you may identify other local issues, and Beyond Pesticides is ready to work with you on those issues. Level Two — Build a network of voices. Build a local network of people you can collaborate with. Start with your friends, family, and neighbors. Contact Beyond Pesticides to see if we know of people in your area that may want to join your local network or to strategize on growing the network that you are building. Create a local listserv or a Facebook group with the network you’re creating to communicate messaging and organize actions. You can come up with a name for the group or use BeyondPesticides[name of your town/area]@googlegroups.com. Yahoo and Google both have free listservs and groups, which you can join or create your own new group. Track the issues your group is focused on and target your actions on these. It may be posting the Beyond Pesticides’ Action of the Week, or it could be a strategy to adopt a toxic-free park or community public lands campaign. Level Three — Develop a community presence. Go to community meetings with your network. A quick personal story about your concern is helpful if you have one. You can bring the message to town hall meetings, Congressional district office visits, town/city/county council meetings, board of supervisors, the state legislature, and commissions (on mosquito management, roadsides, pesticide regulation, etc.). Always ask for a response at the end of your question. Bring a one-page factsheet on the issue you are raising. Sign up for your Members’ meetings via their constituent newsletter. Most Members of Congress offer this option to sign up for email updates if you go to their website home page. If the Member cannot respond at the time, remind him or her that you will be following up and look forward to their answer at a later time. Request the name of the Congressional aide who will be following up. Make an attempt to introduce yourself to the Member of Congress or a staffer before or after the meeting and present them with materials on the issues you care about. Always remember to ask for a business card so you can get in contact with them at a later time. Thanks for taking action and please tell us how your community organizing efforts progress! Take Action to Oppose the Agrochemical Mega-Mergers! Corporate control of the food system is already bad enough—the proposed mega-mergers of Dow Chemical with DuPont, Monsanto with Bayer AG, and Syngenta with ChemChina would make it even worse! That's why Beyond Pesticides and 323 allied groups sent a letter last week to new U.S. Attorney General Jeff Sessions demanding the enforcement of antitrust law and that he put consumer and farmer interests above corporations. The letter was also delivered to members of Congress and state attorneys general. Call your state attorney general and ask if they have joined the federal antitrust probe of the proposed mergers between DuPont-Dow and Bayer AG-Monsanto, and if they have not, urge them to do so immediately. Participation by the state attorneys general in investigating these mega-mergers will increase overall scrutiny and will improve the chances of these mergers being rejected. >>Contact your state attorney general and tell them that you adamantly oppose the proposed agrochemical mergers using the template below! The letter sent last week points to the adverse and wide-ranging consequences of these mergers stating that, “Conglomerates of such massive scale, breadth and reach, such as those proposed by these mergers, pose a real risk to our economy, to our agricultural sector, to public health, to food security, to the environment and to the general health of the agricultural and food business climate.” More concentration of power will result in fewer choices in the marketplace for seeds, inputs and foods, at a time when the consumer demand for ecologically sound technologies that are cost-effective and sustainable is ever-increasing. Hi Attorney General [ ], my name is [ ] and I am a constituent in [home state]. I am calling to see if you have joined the federal antitrust probe of the proposed mergers between DuPont-Dow and Bayer AG-Monsanto. I am very concerned about these mega-mergers of agrochemical companies and the negative impact they would have on public health, the environment, and our agricultural sector. I support sustainable and organic practices and am alarmed at corporate consolidation and the effect it will have on consumer and farmer choice. Please join other state attorneys general in investigating these mega-mergers and protecting consumers in this state. Thank you and I will be following your actions on this in the coming weeks. >>Contact your state attorney general and tell them that you adamently oppose the proposed agrochemical mergers using the template above! If Monsanto and Bayer, Dow and DuPont and Syngenta and ChemChina form their respective proposed partnerships, the three resulting corporations will control nearly 70 percent of the world’s pesticide market, more than 61 percent of commercial seed sales and 80 percent of the U.S. corn-seed market. This would have serious consequences for the market by limiting options to farmers, consumers and further tilt the balance away from independent science and the health and safety of the American people. The mergers pose significant potential threats to U.S. security interests; undermines food security in the United States and worldwide; disrupts trade flows; accelerates the international consolidation of the food and agribusiness industries to the detriment of American farmers, rural communities, and consumers. Tell Your Members of Congress to Protect EPA’s Mission and Uphold Scientific Integrity! The Trump Administration continues to undermine scientific integrity and agency oversight by the U.S. Environmental Protection Agency (EPA). Send a message to your U.S. Representative and Senators by signing this letter! EPA plays a critical role in reviewing independent science and issuing rules that protect human health and environment. While they are not without flaw in the way they regulate pesticides, a fact Beyond Pesticides continues to critique, the clear attacks on this agency’s mission through stifling of science-based communications over the past two weeks demands urgent action. We must ensure that public health and environmental protections that we depend upon for clean water, clean air, and healthy natural resources are not immediately slashed under the new administration. This comes on the heels of an announcement by the administration several days after Trump was sworn in issuing scientific grant and hiring freezes at EPA nationwide, along with effectively banning science communications through social media platforms. These grant freezes have since been walked back on. If suppressing public communication of science-based information continues, it will further politicize and degrade the vital role of EPA. Please let your elected representatives in Congress know that the Trump administration’s silencing of EPA will not be tolerated and you demand transparency and science-based standards going forward. Urge your elected representatives to oppose any efforts by the Trump administration to weaken environmental standards and undercut science communications. >>Send a message to your U.S. Representative and Senators now! The U.S. Environmental Protection Agency is a federal agency with an annual budget of just over $8 billion with 15,376 employees as of 2016. To accomplish their mission of protecting human health and the environment, EPA develops and enforces regulations, gives grants, studies environmental issues, sponsors partnerships, teach about environmental issues, and publishes information. The statute that Beyond Pesticides works with most closely, The Federal Insecticide, Fungicide and Rodenticide Act (FIFRA), is a regulatory and licensing law that oversees the registration of pesticides and their application. Scott Pruitt, President Trump’s nomination to head EPA, has worked for years to dismantle environmental protections in his home state of Oklahoma. If confirmed, Mr. Pruitt will head the agency whose mission is to protect human health and the environment, not the polluters that he sought to protect as Oklahoma Attorney General. Mr. Pruitt sued EPA over a dozen times during his tenure as OK’s Attorney General, challenging regulation of the oil and gas industry, coal-fired power generation plants and Natural Gas fracking, and EPA actions under the Clean Water and Clean Air Acts. Mr. Pruitt raised campaign funds from many of the industries regulated under these laws. Call your U.S. Senators and tell them that you adamantly oppose Scott Pruitt becoming the leader of EPA. His history of blocking air and water regulations around the country highlight his inability to be an unbiased and science-driven defender of EPA’s mission. If you live in a state with a Senator on the U.S. Senate Committee on Environment and Public Works, contact them now using the numbers below, as they will be casting their votes on Scott Pruitt on Wednesday, February 1. Call script: Hi Senator [ ], my name is [ ] and I am a constituent in [home state]. I urge you to oppose Scott Pruitt for EPA Administrator. His anti-environment and anti-human health record as Oklahoma Attorney General reveals his inability to effectively separate his corporate interests from the interests of the people he serves. He has opposed clean water and air standards in his home state in addition to opposing limits on water pollution in the Chesapeake Bay. Please vote no on Scott Pruitt and demand a candidate who will protect our environment and public health. Thank you and I will be following your actions on this in the coming days. You can also go to the Twitter or website of your Senator and leave your message there.